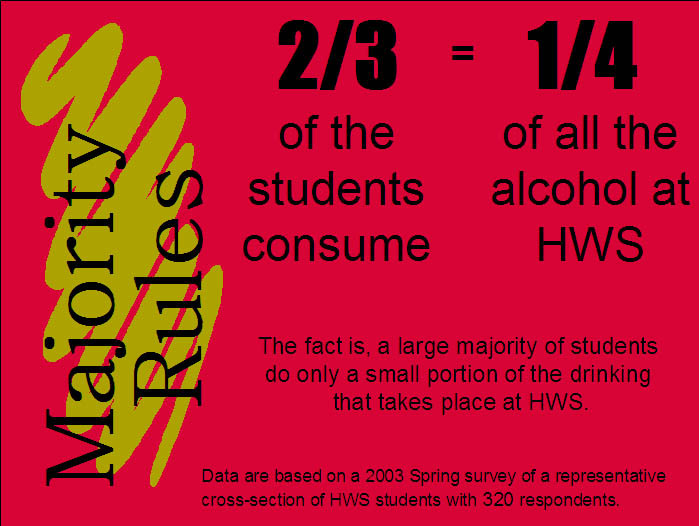 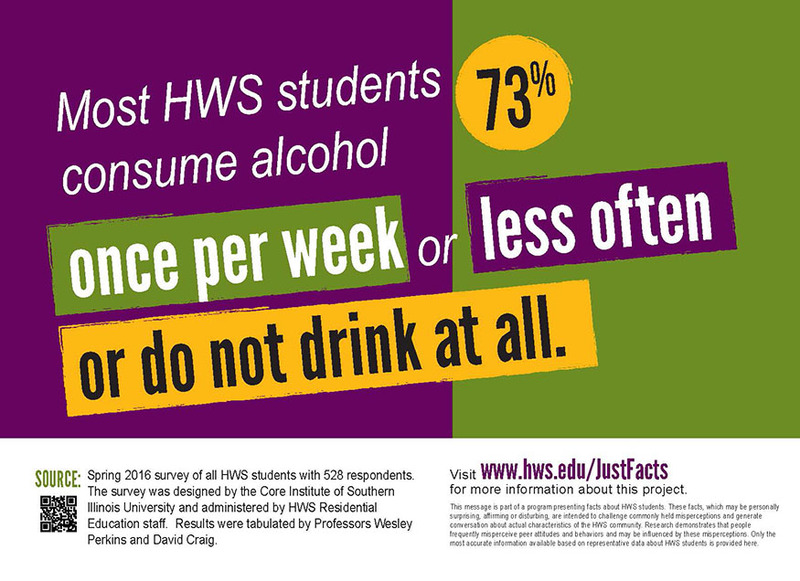 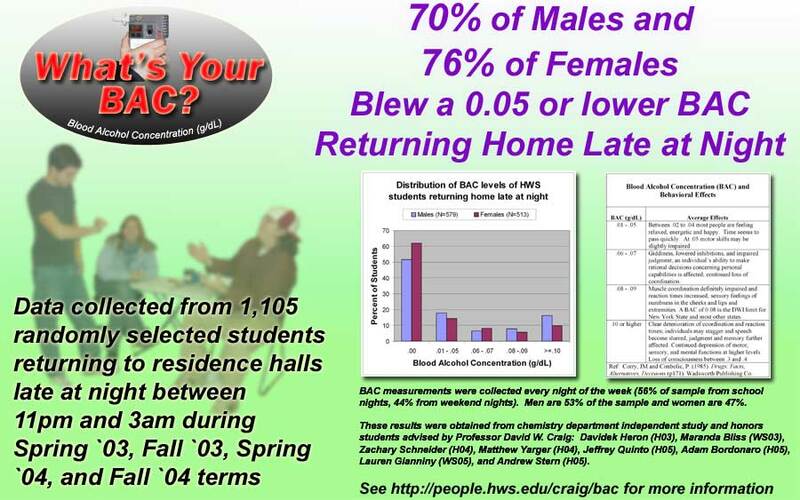 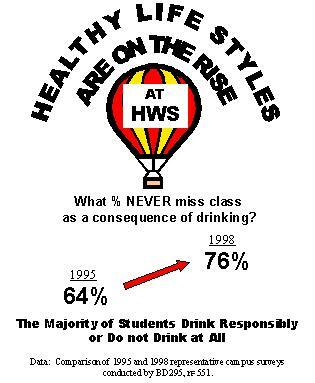 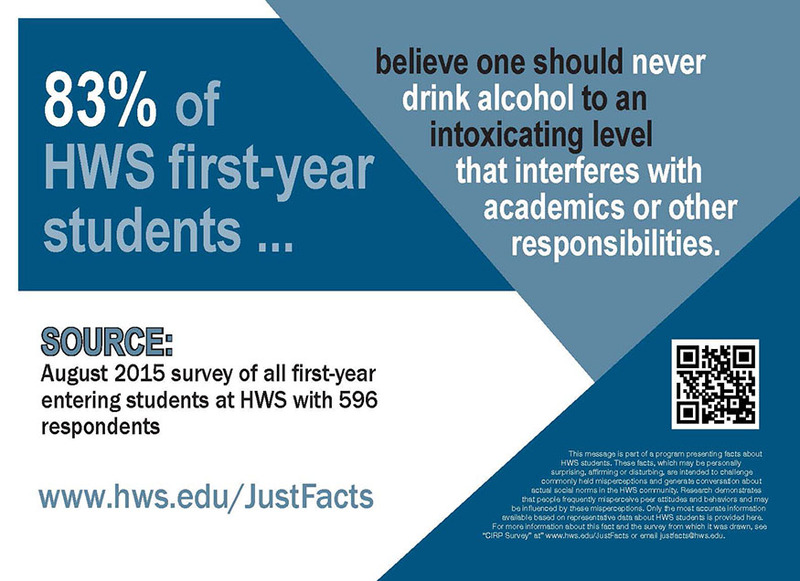 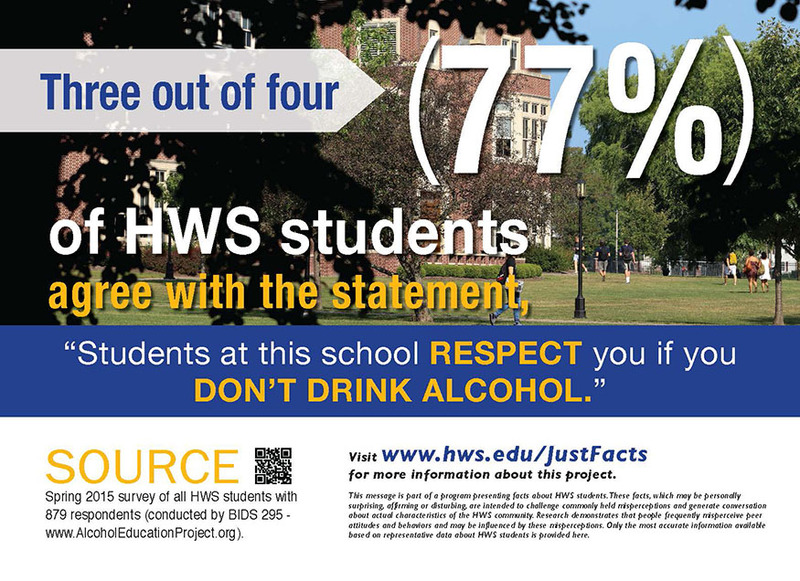 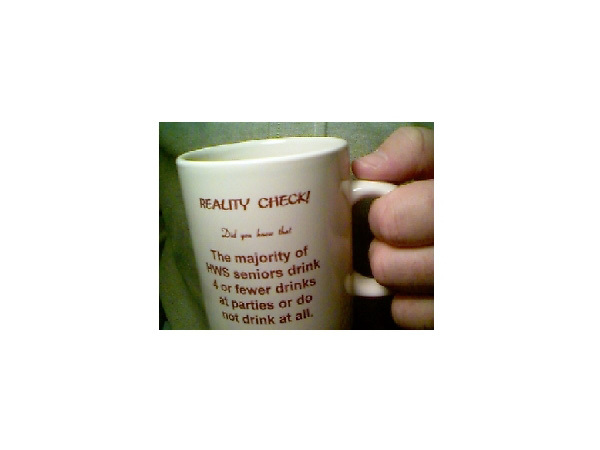 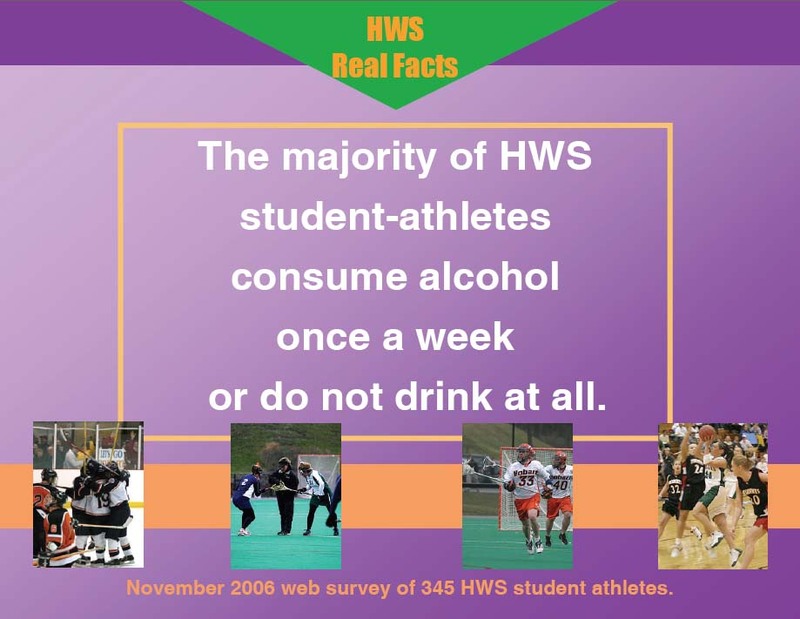 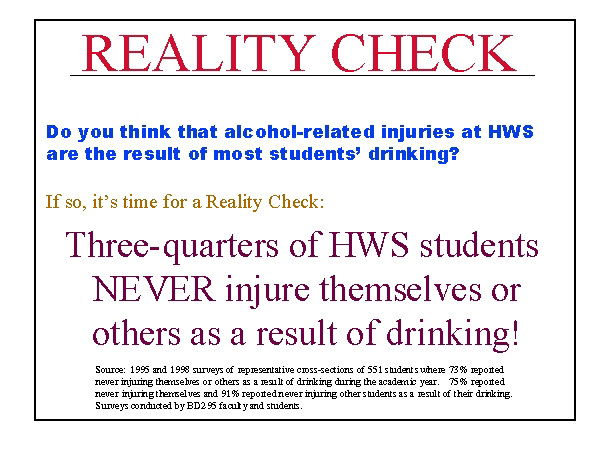 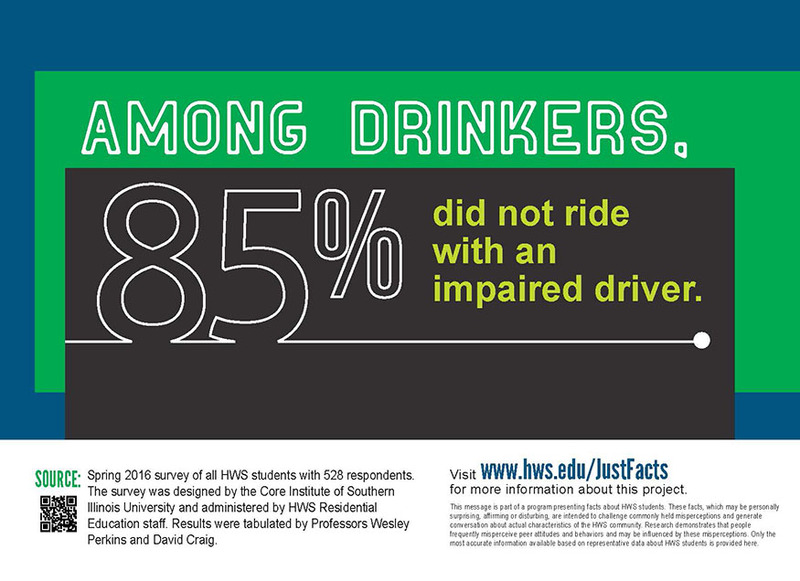 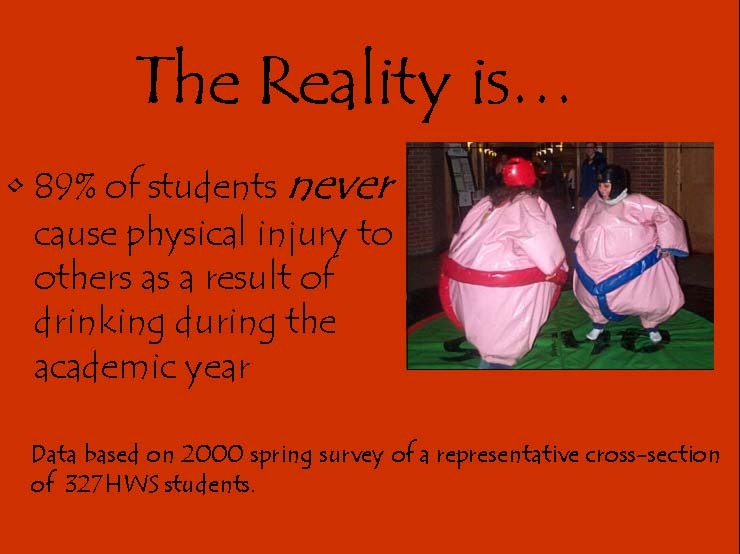 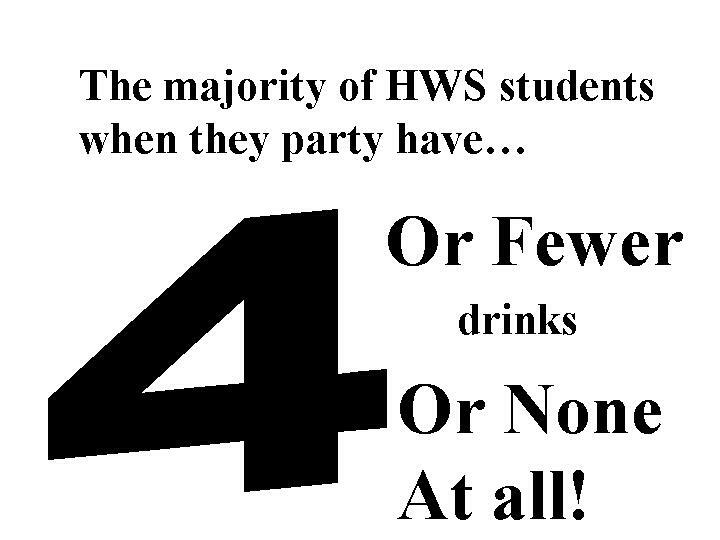 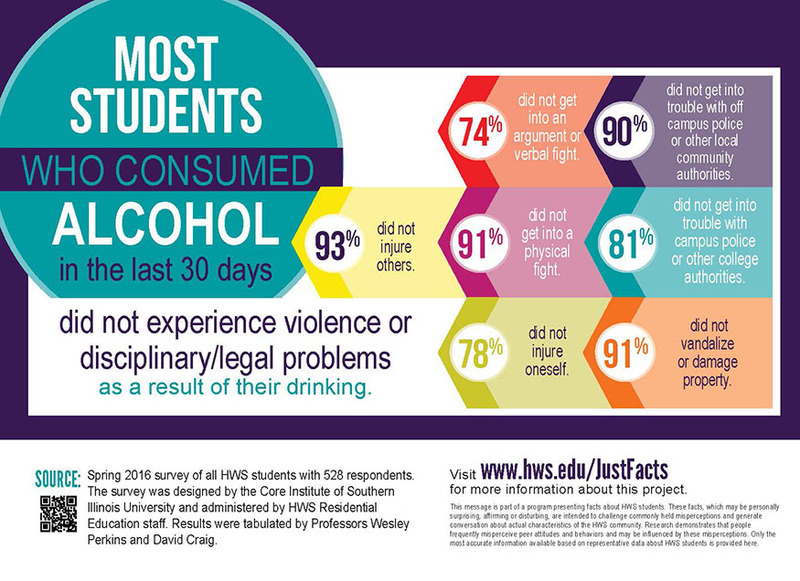 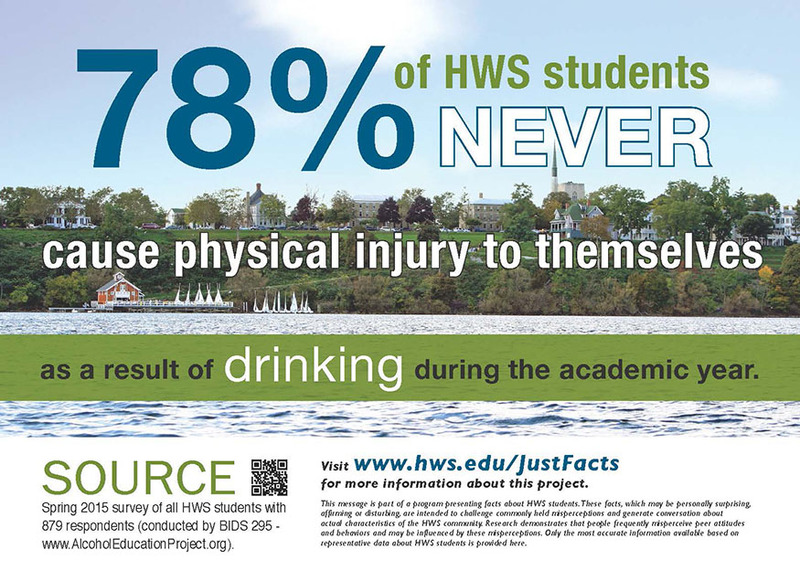 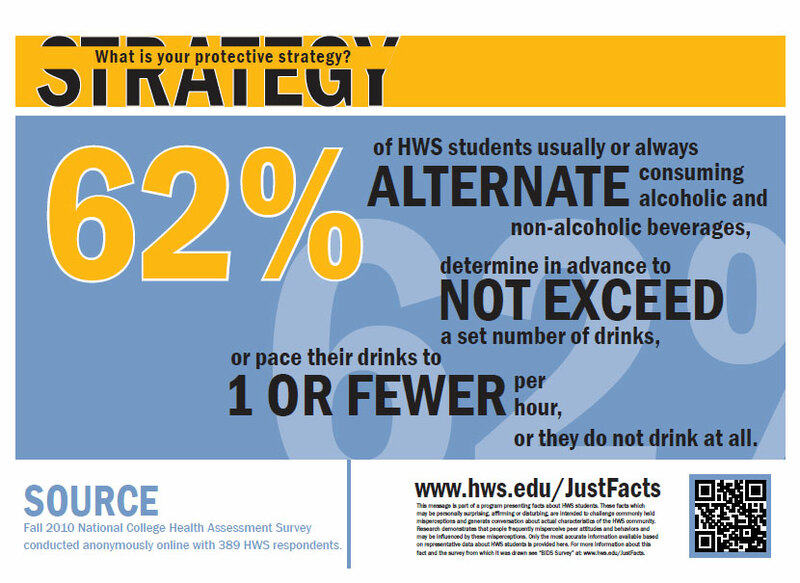 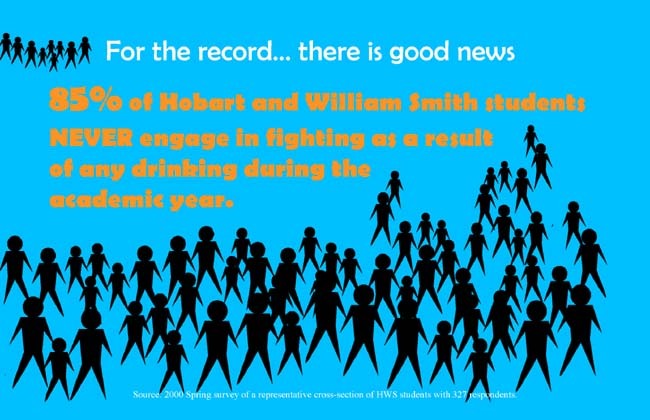 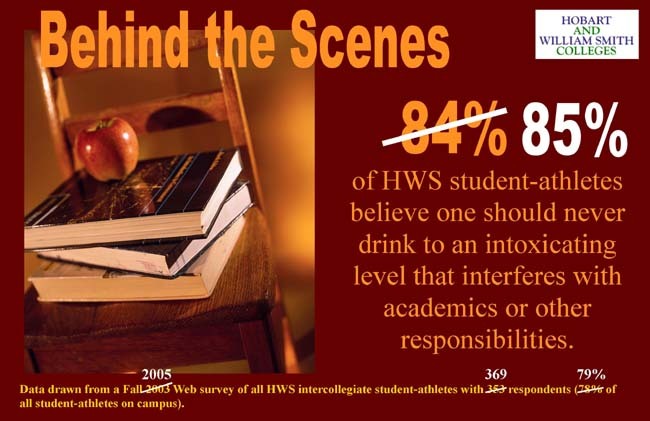 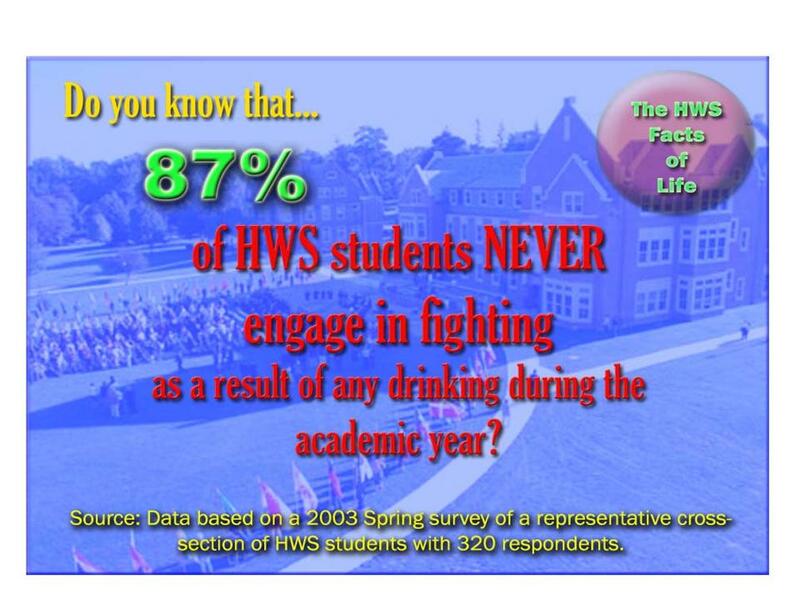 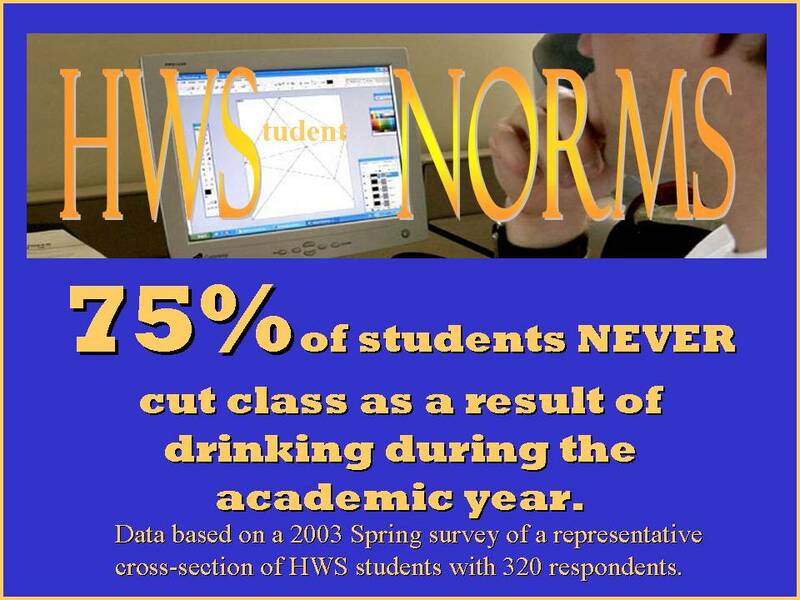 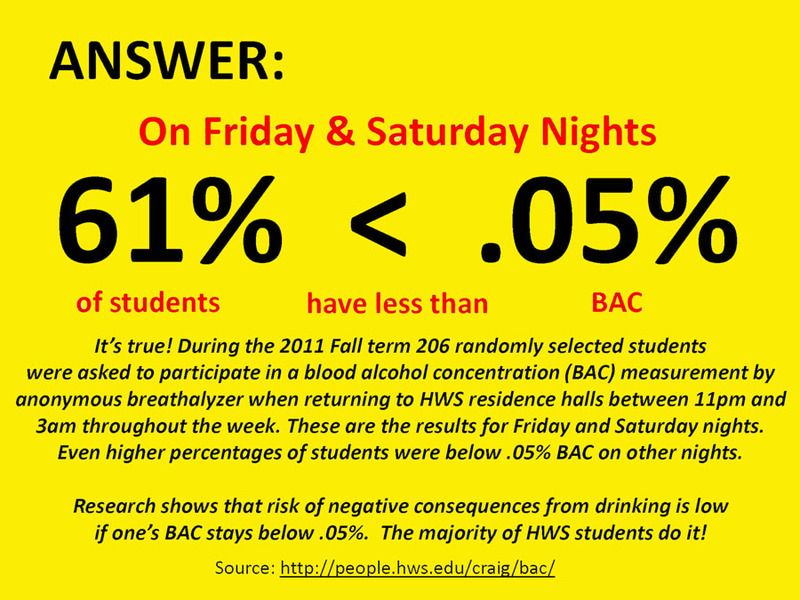 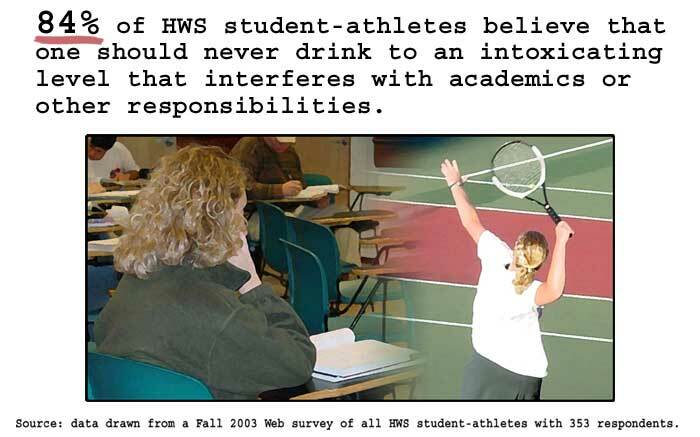 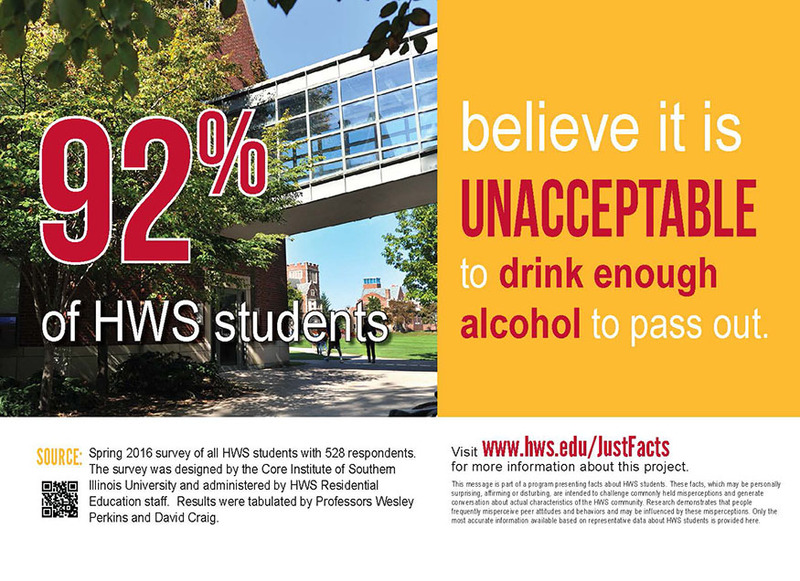 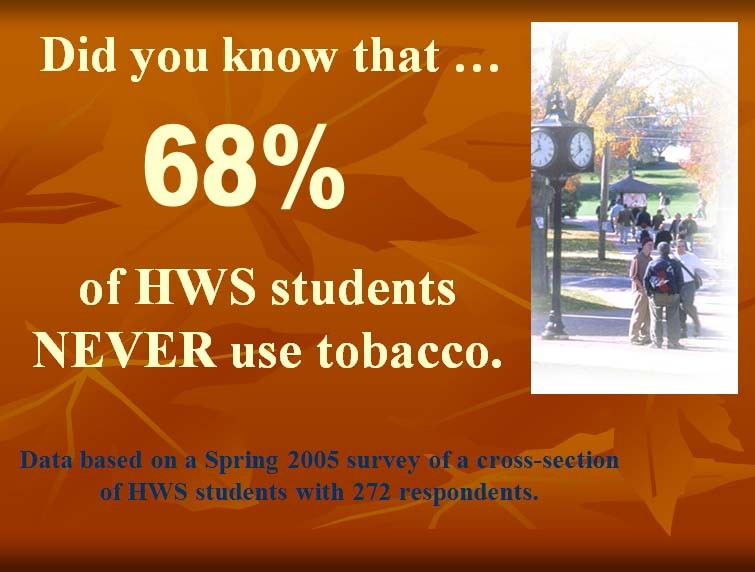 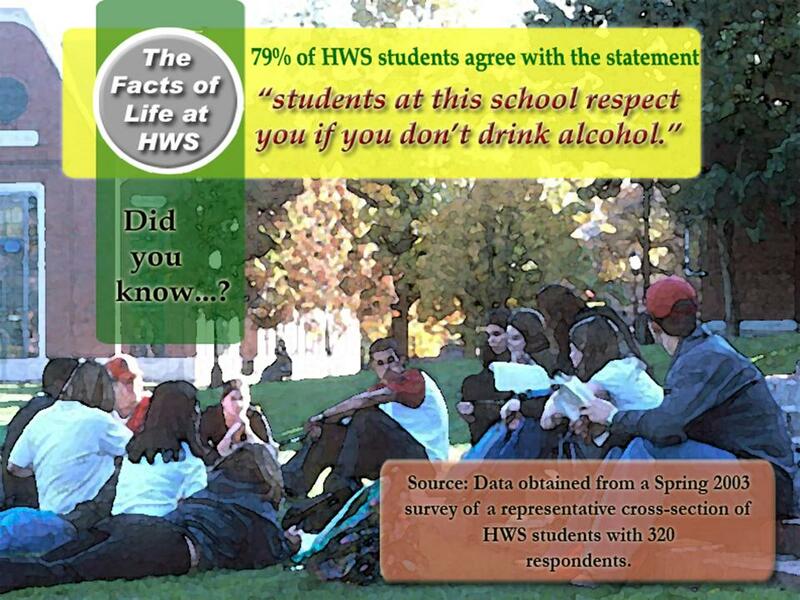 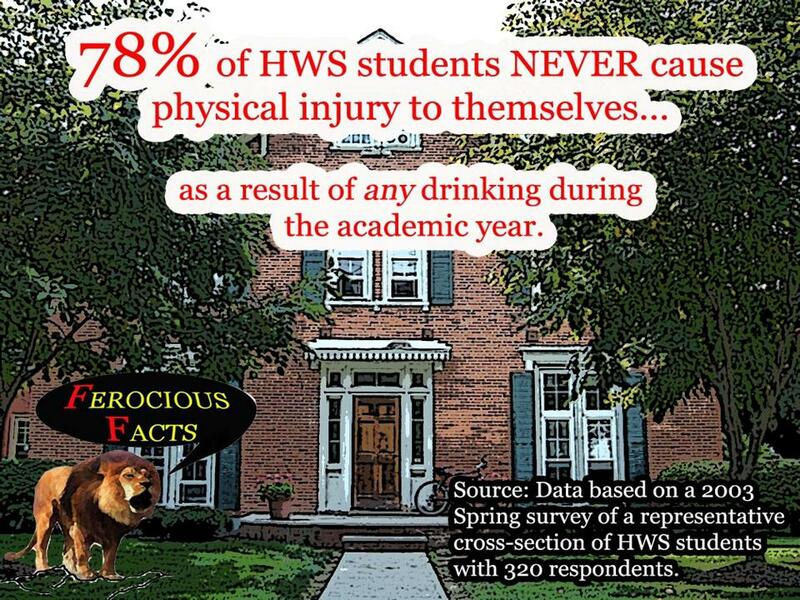 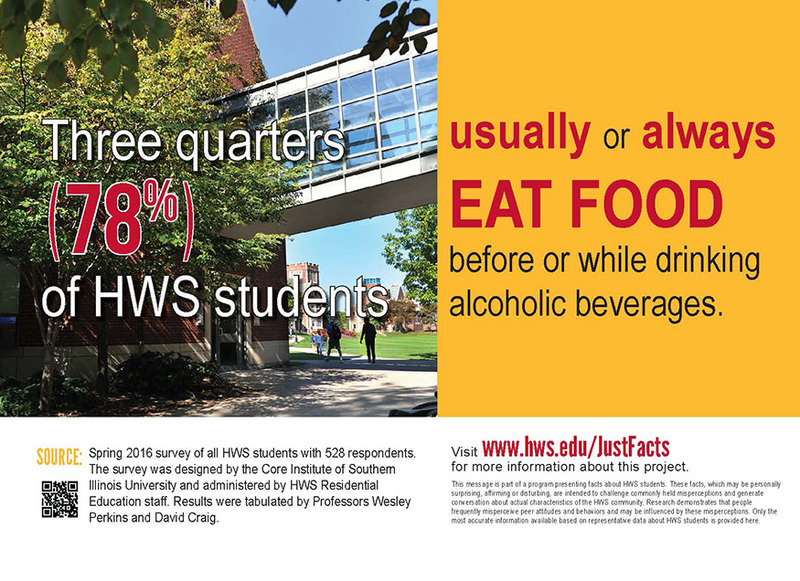 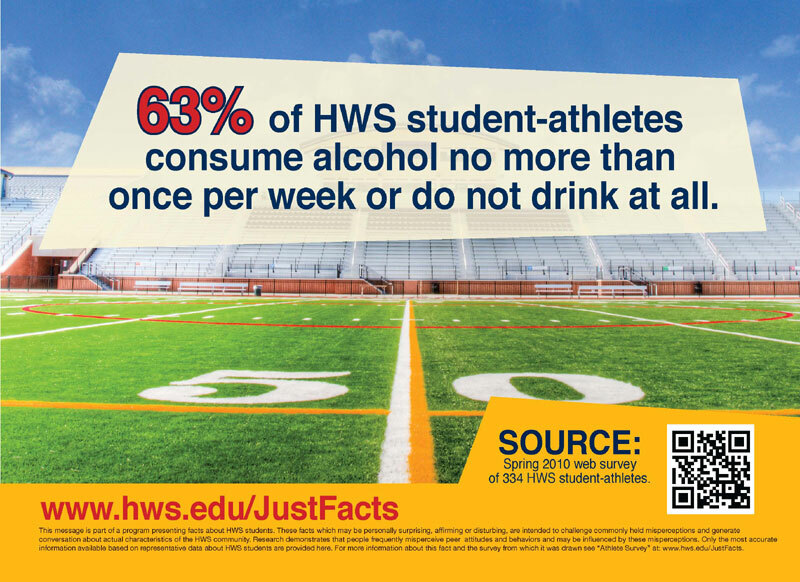 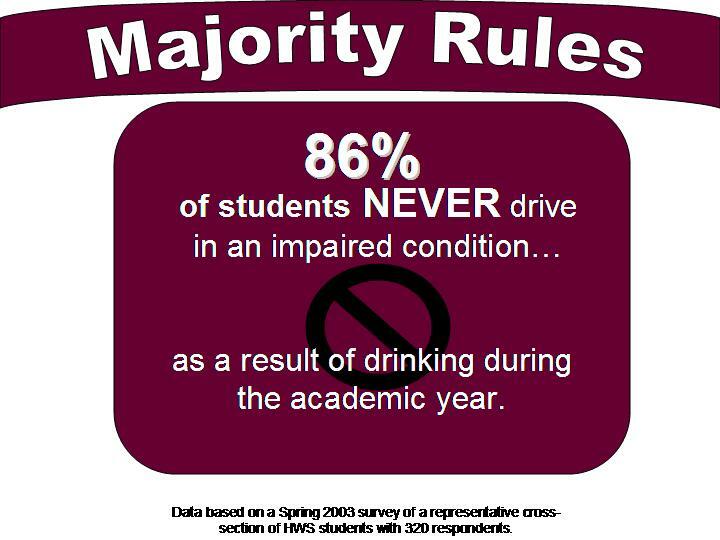 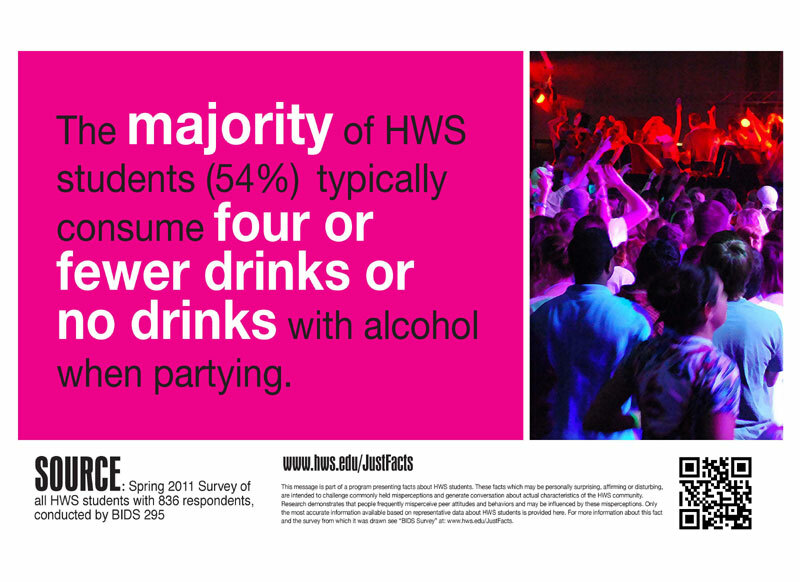 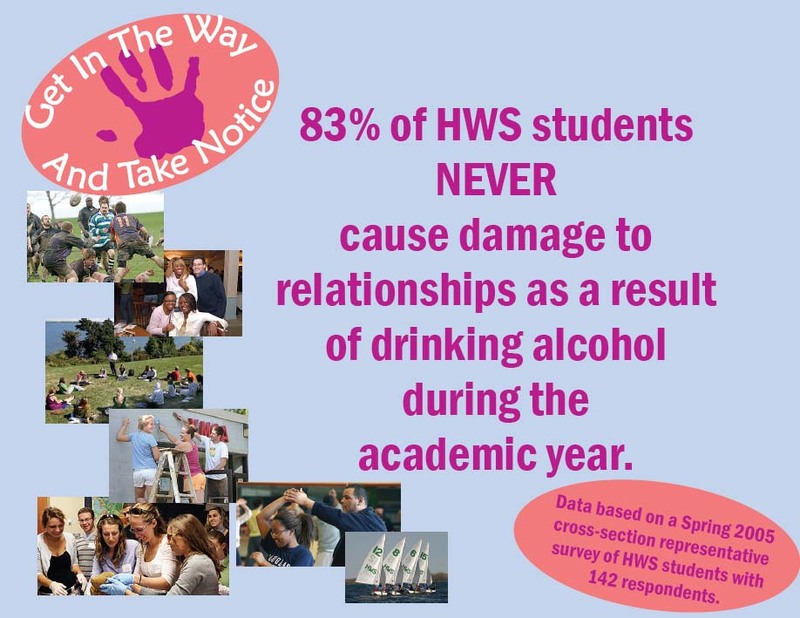 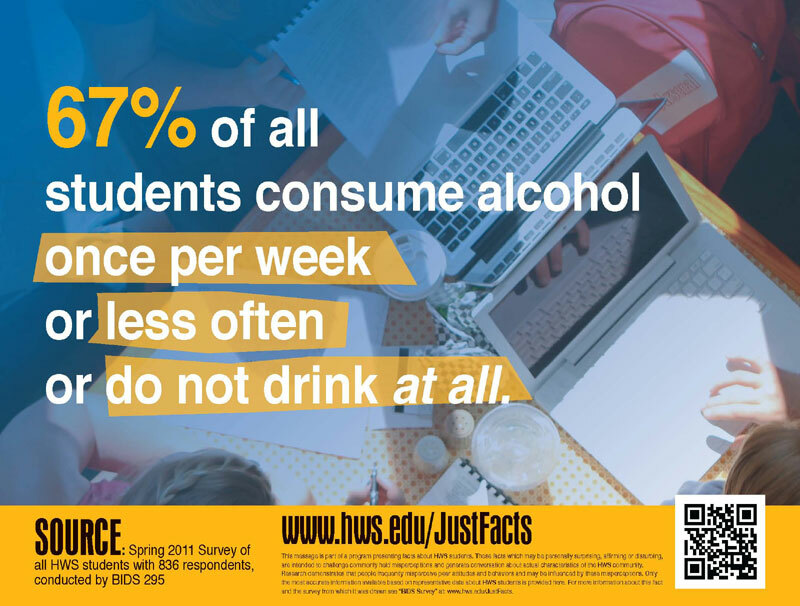 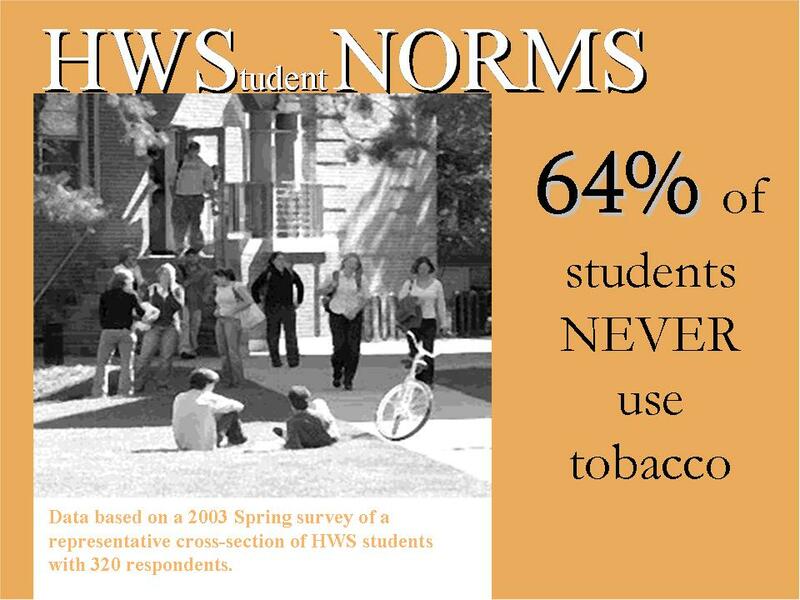 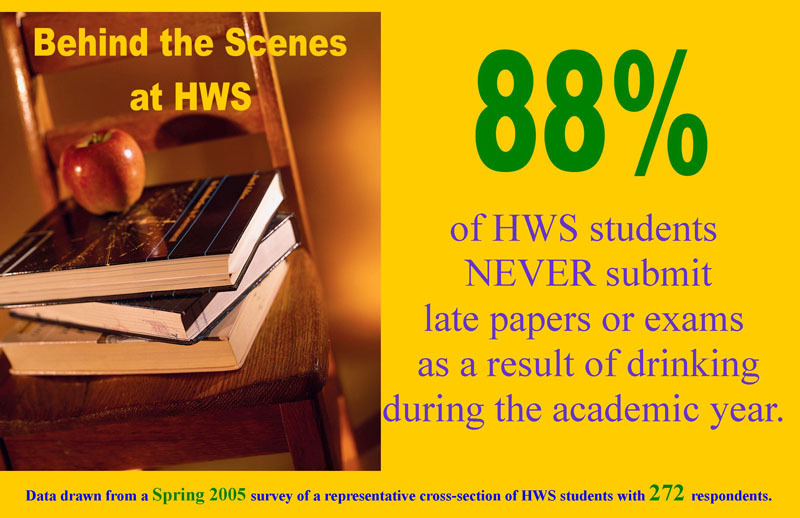 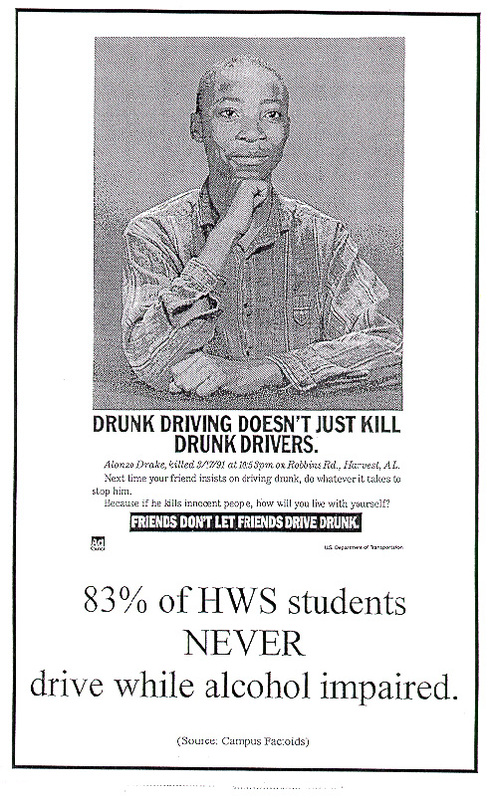 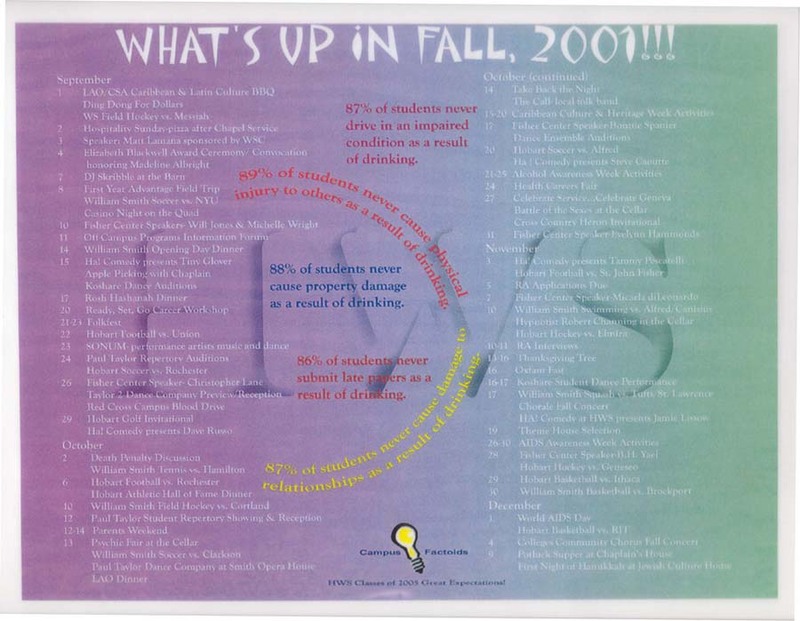 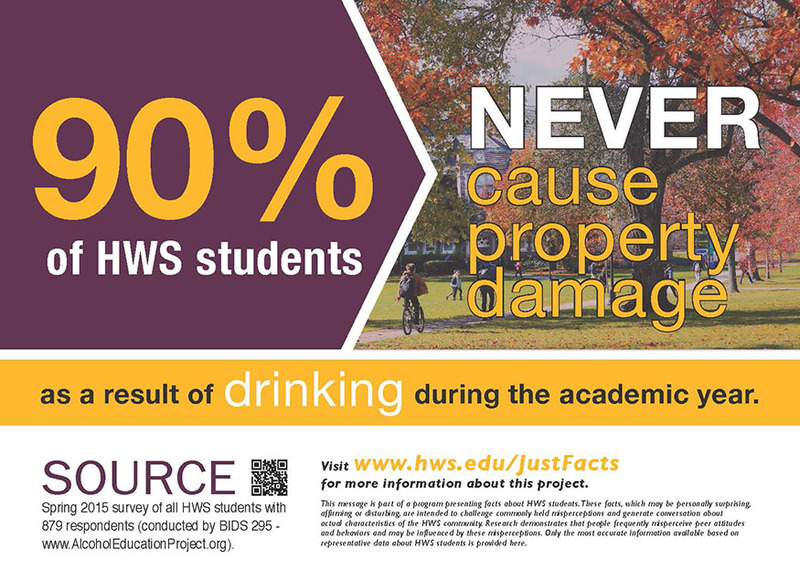 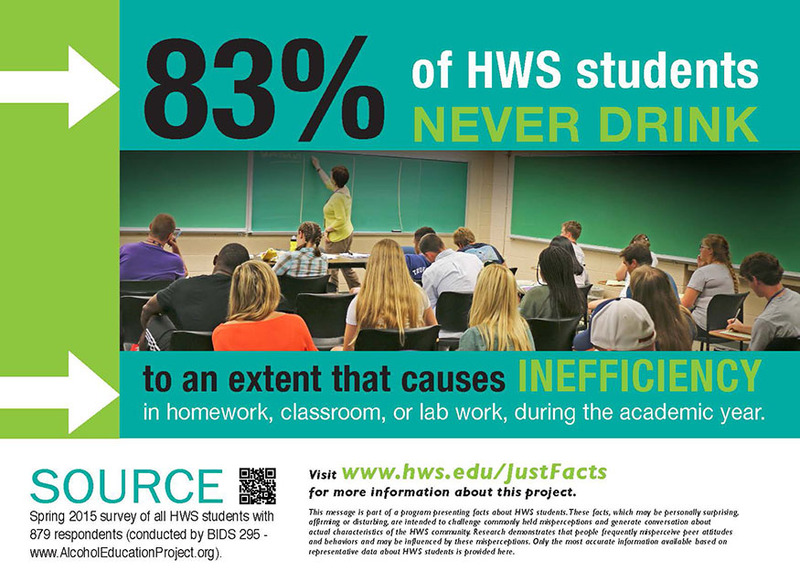 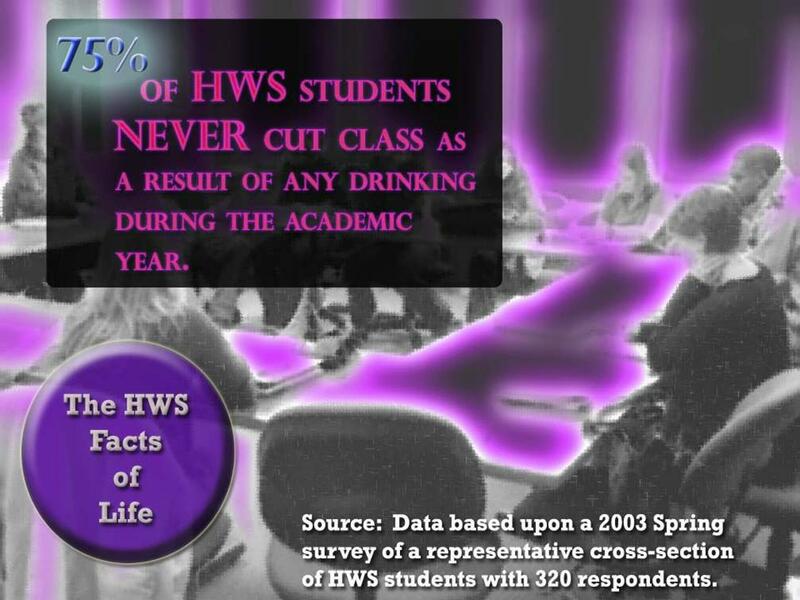 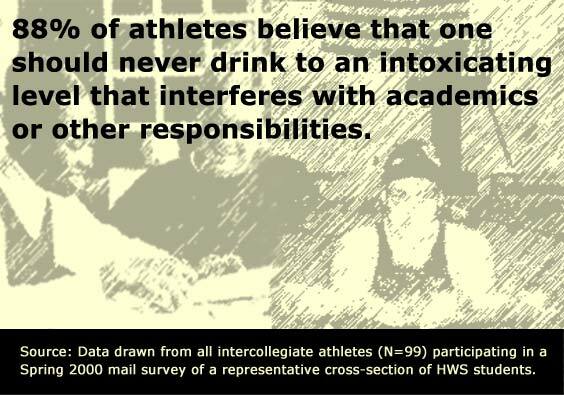 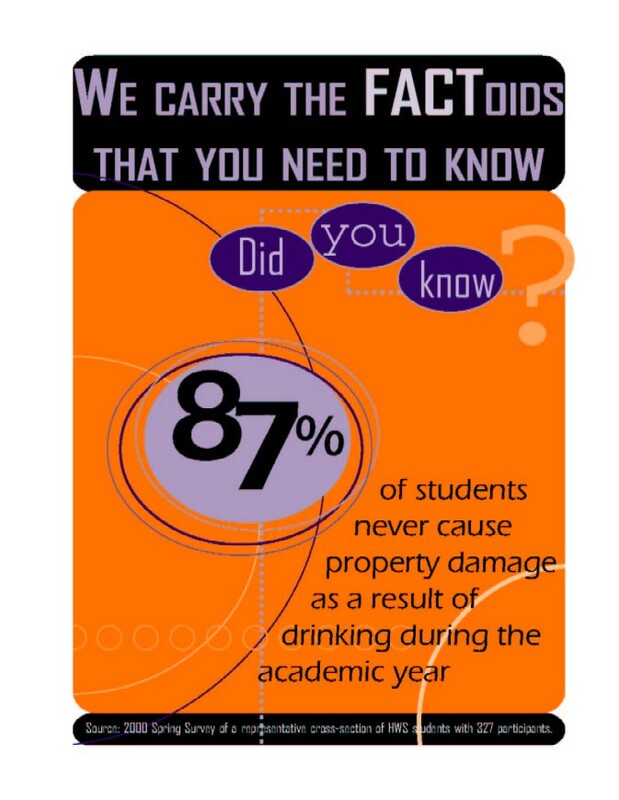 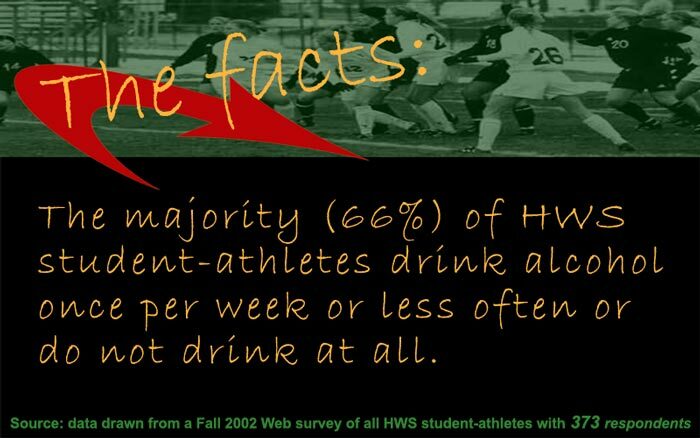 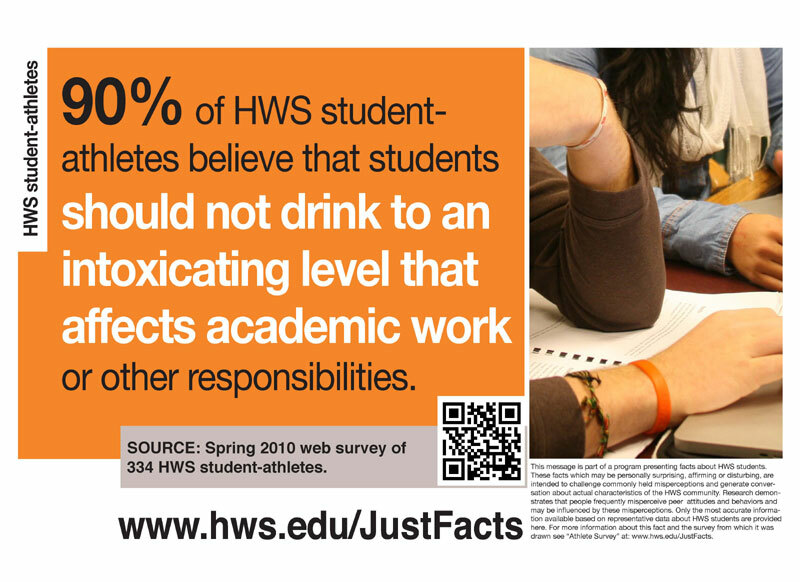 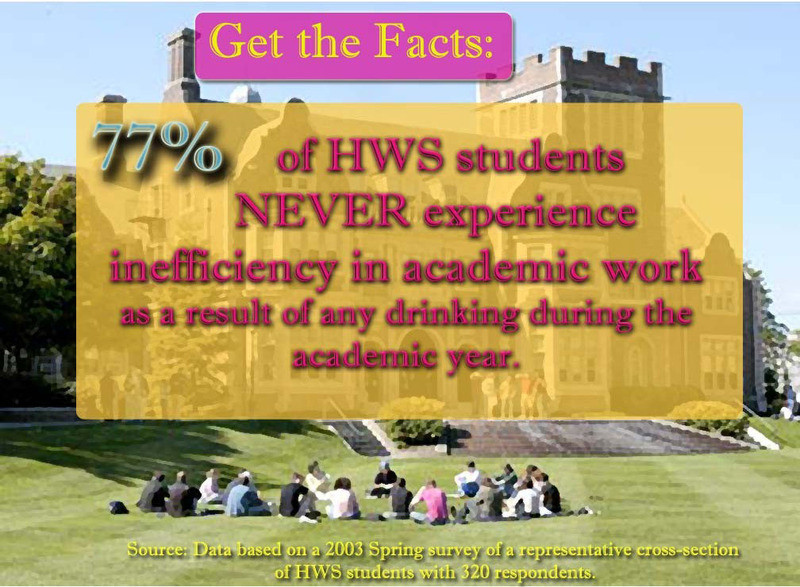 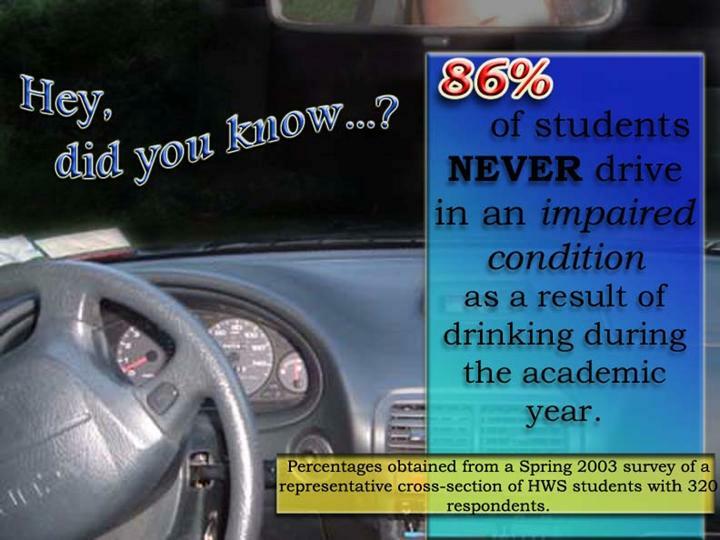 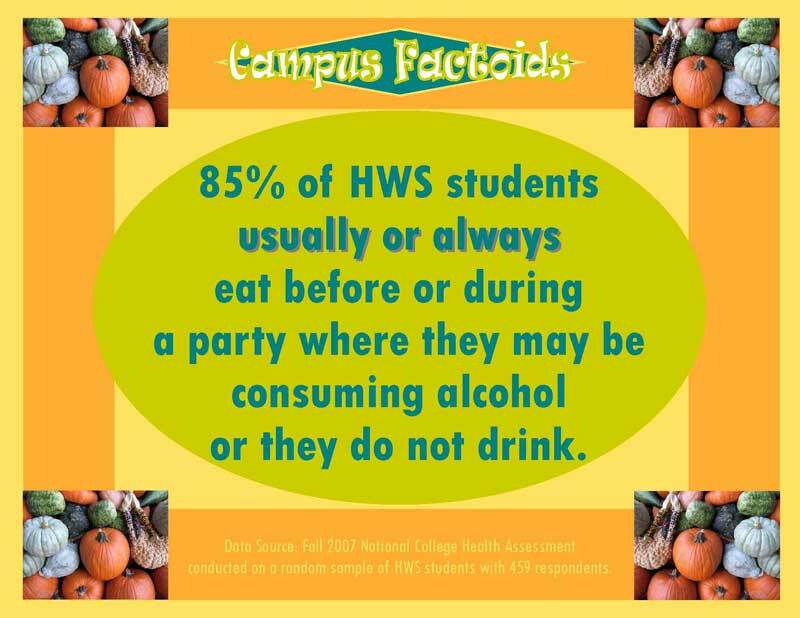 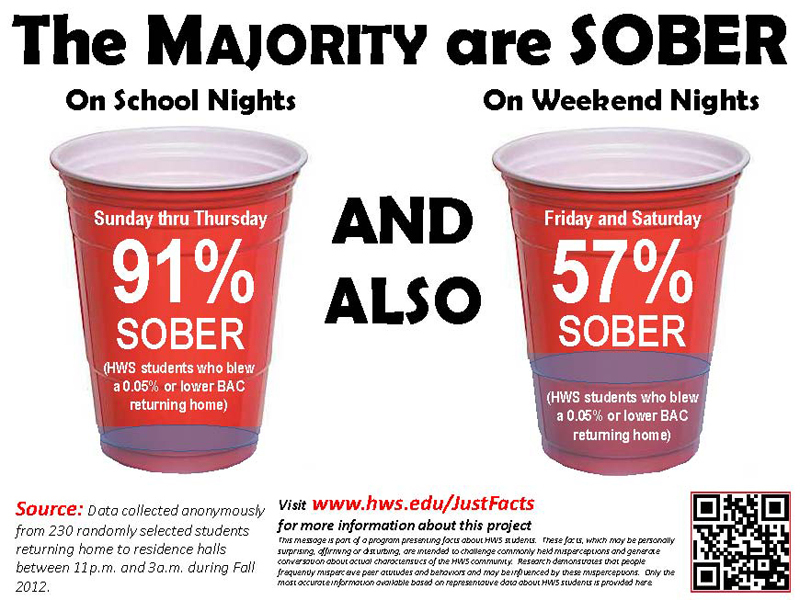 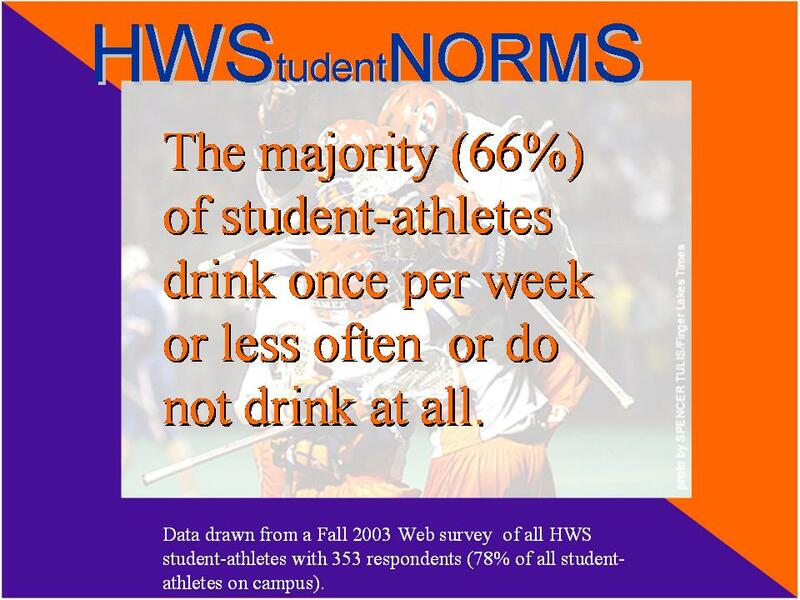 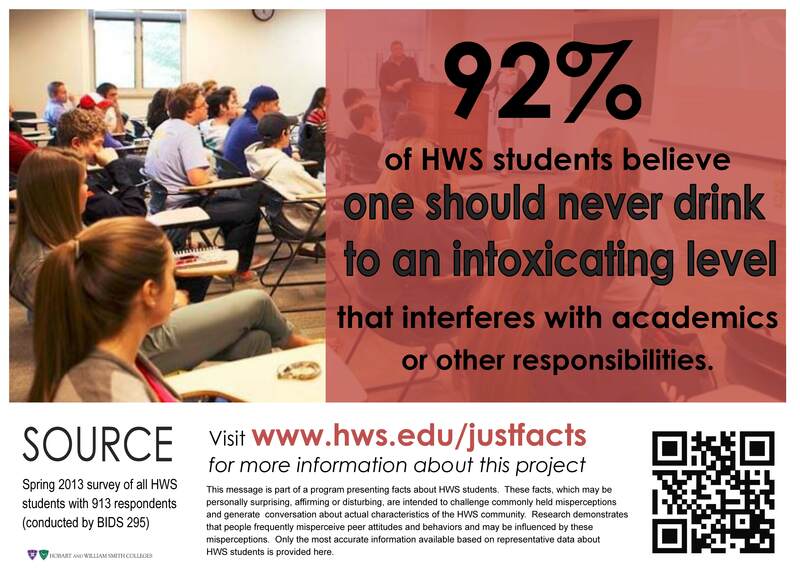 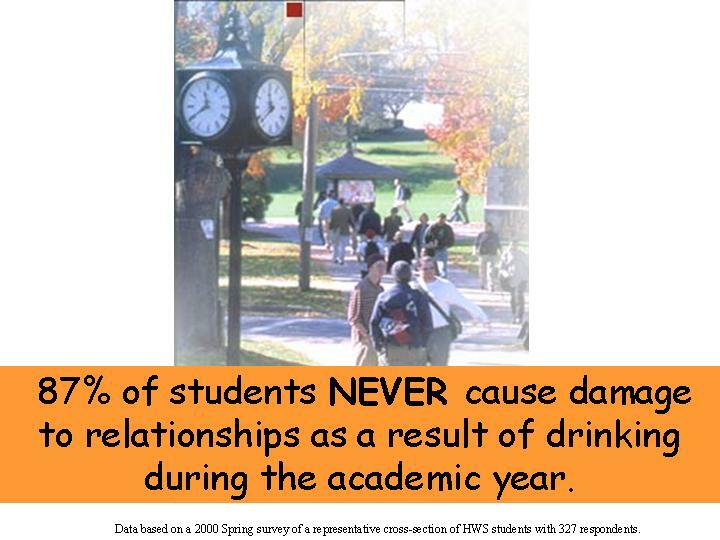 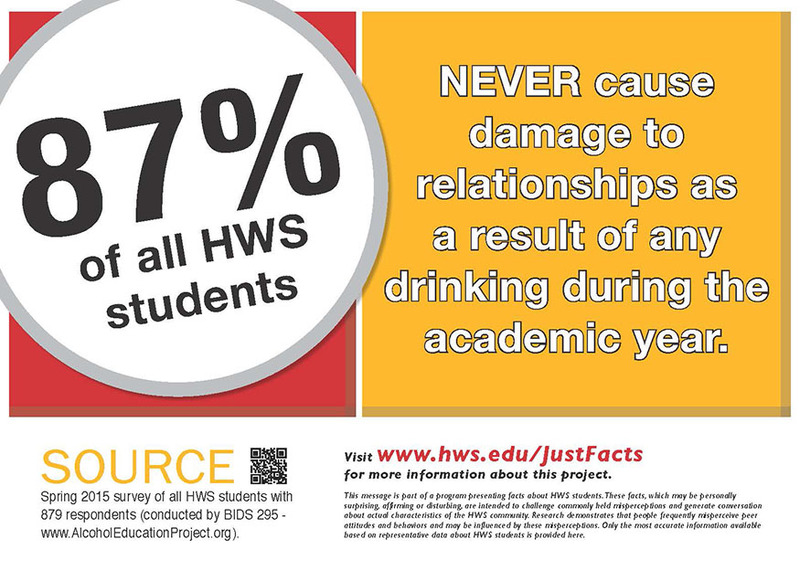 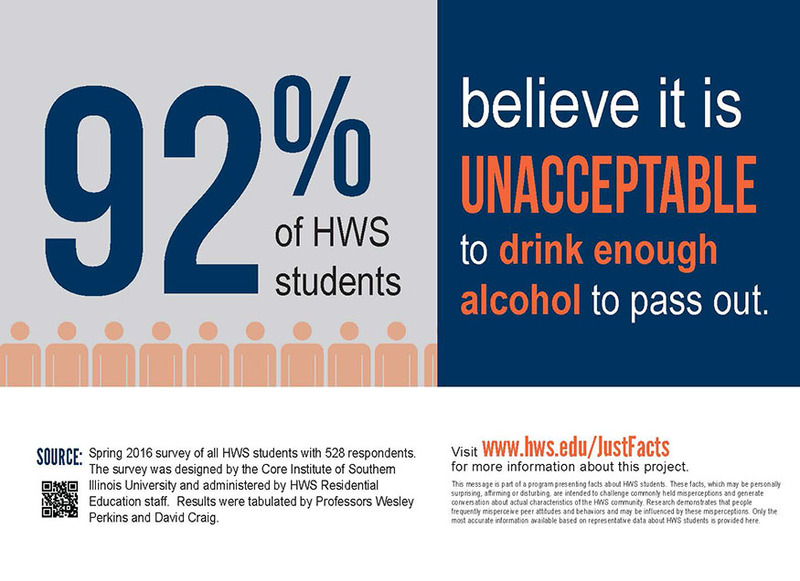 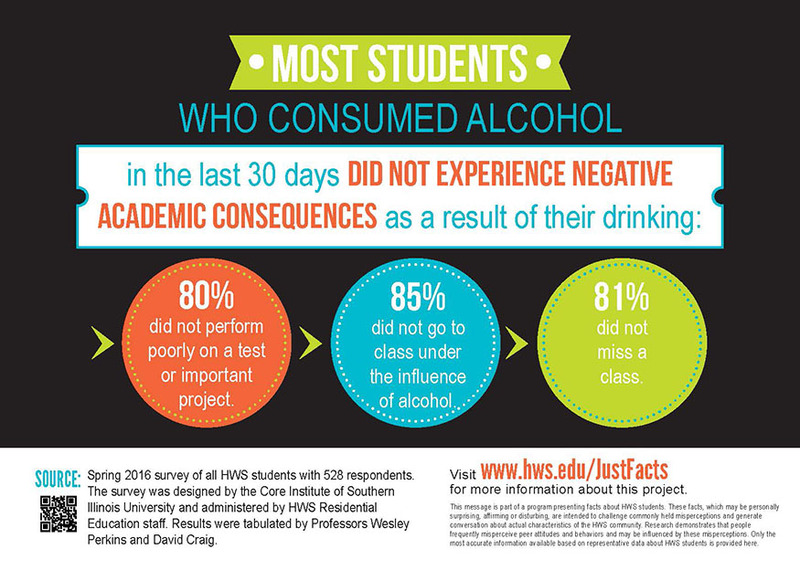 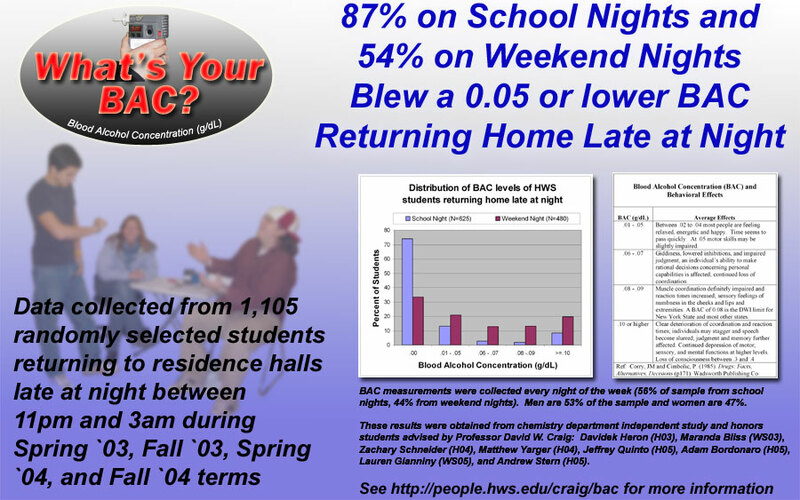 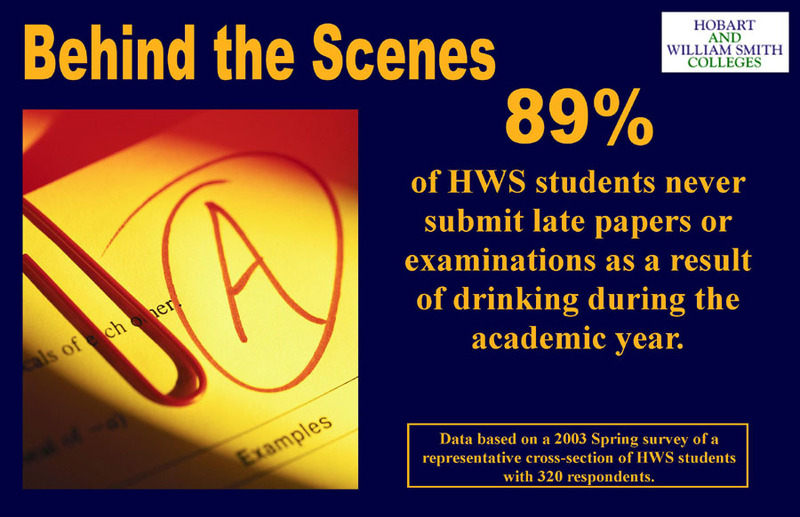 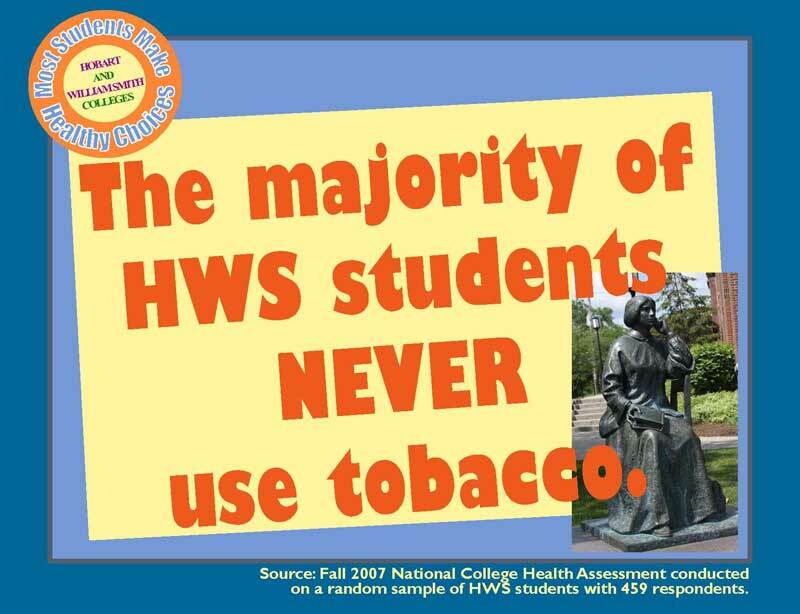 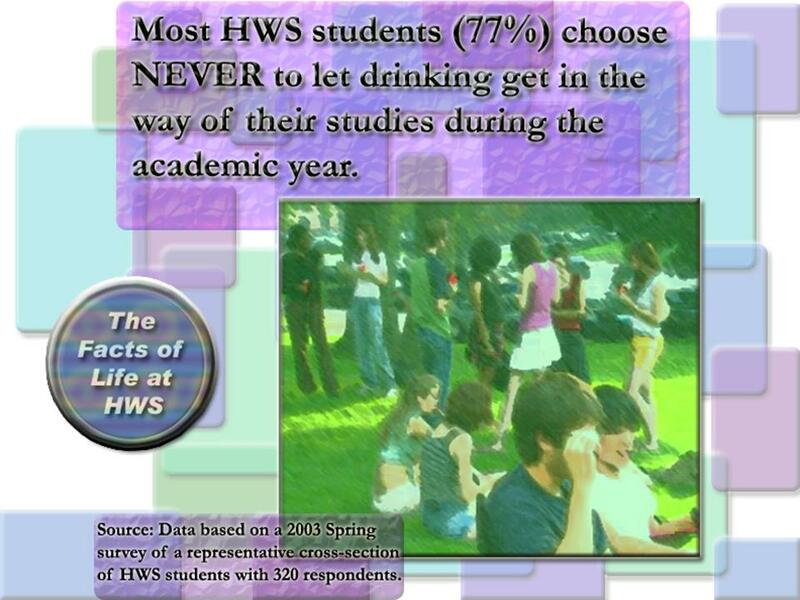 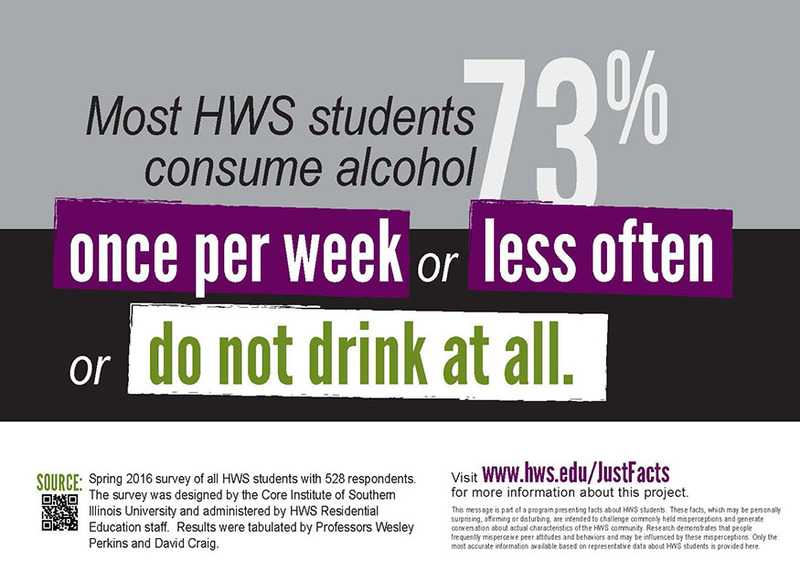 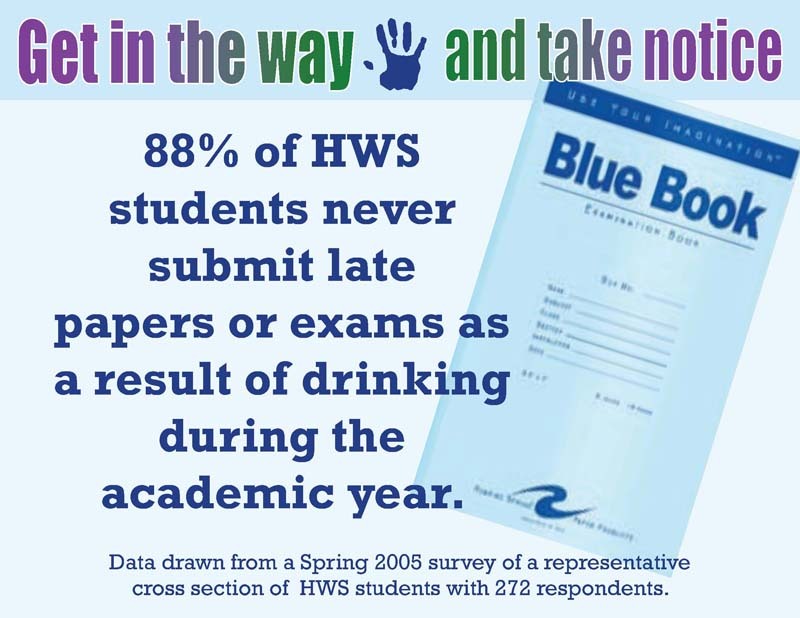 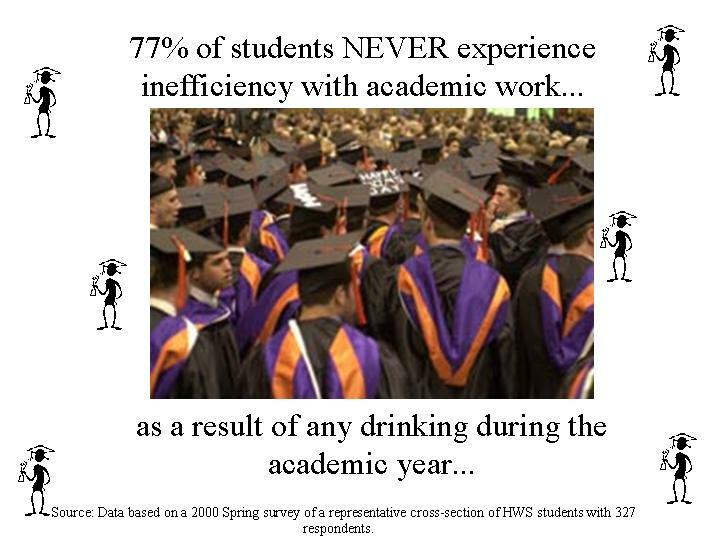 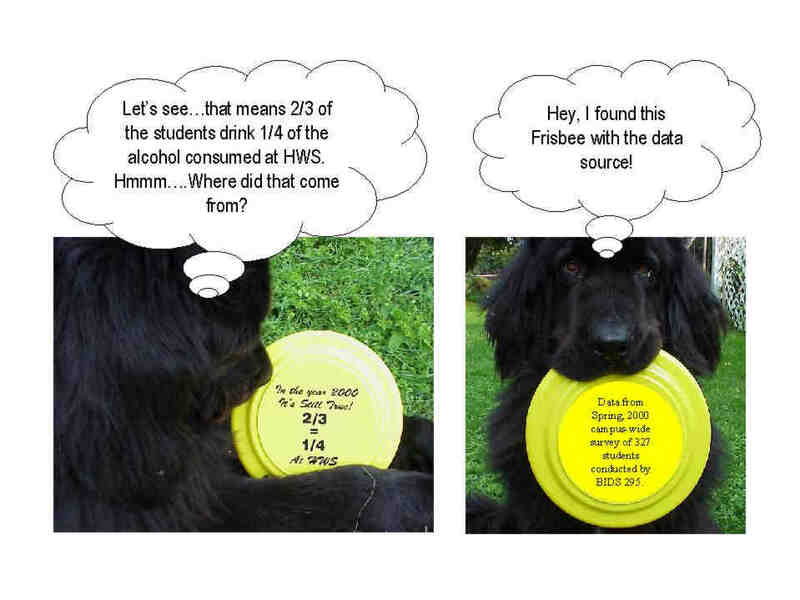 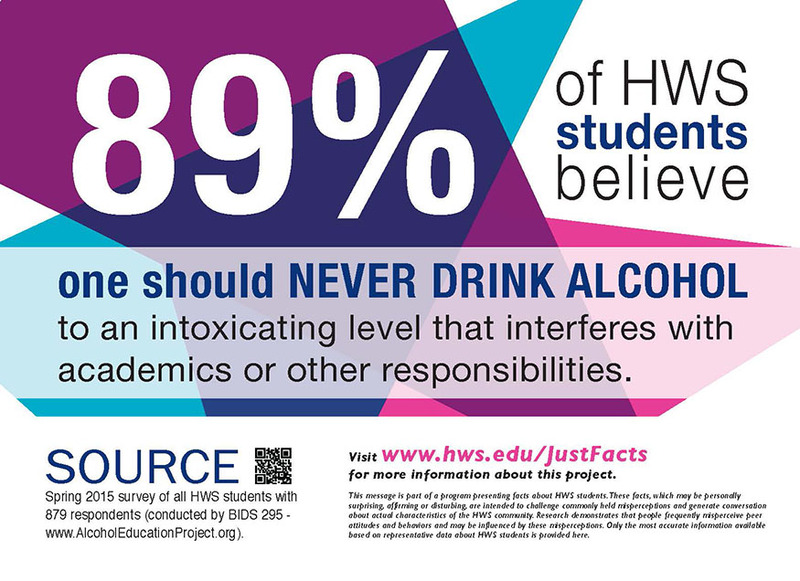 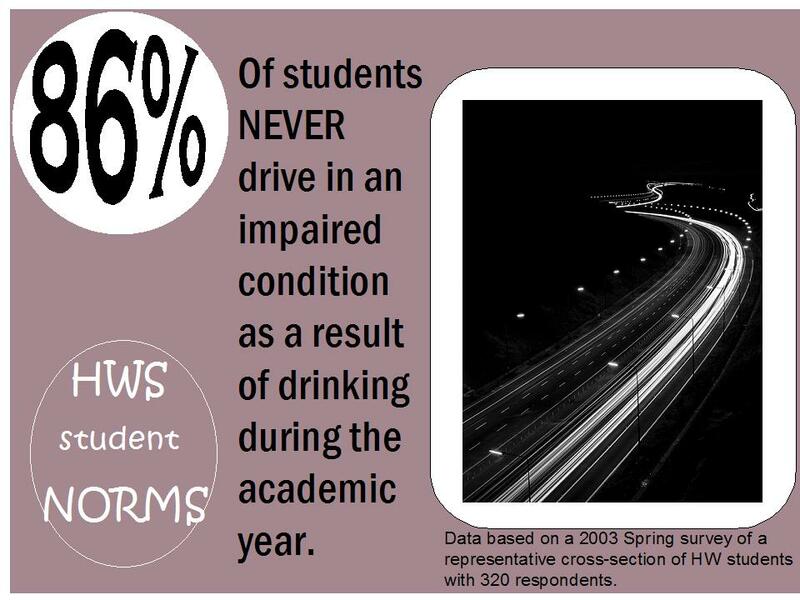 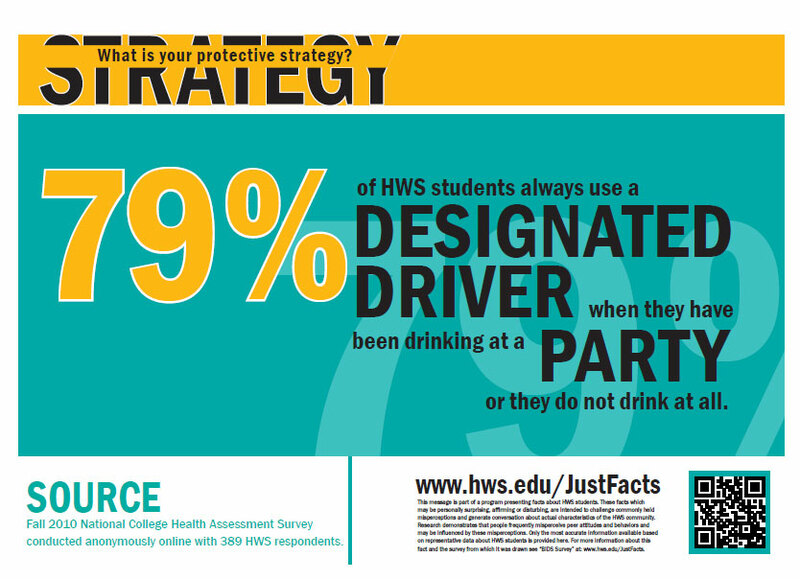 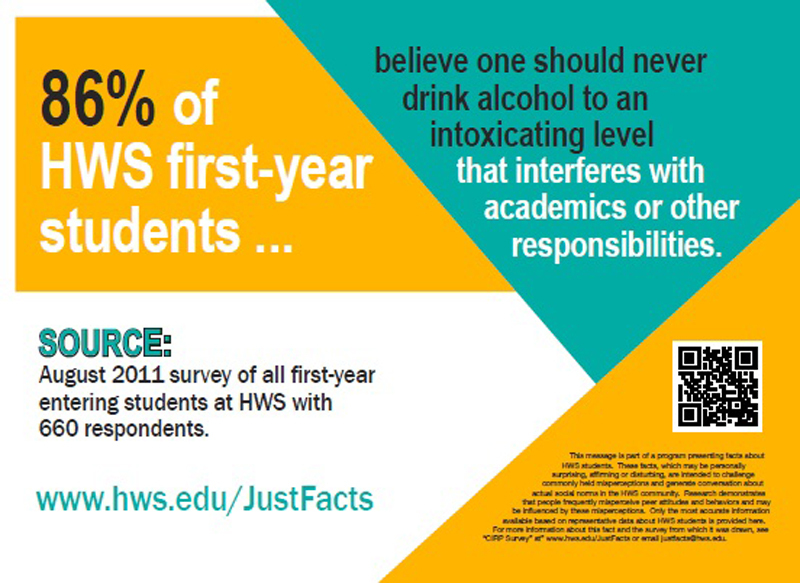 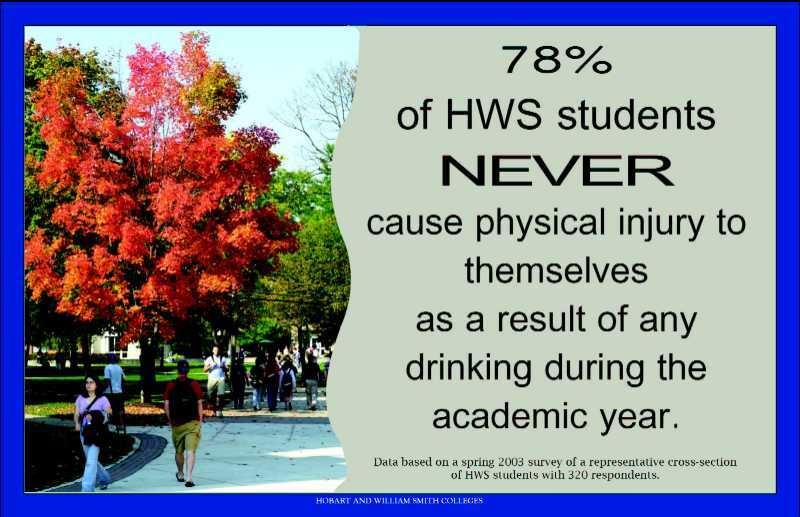 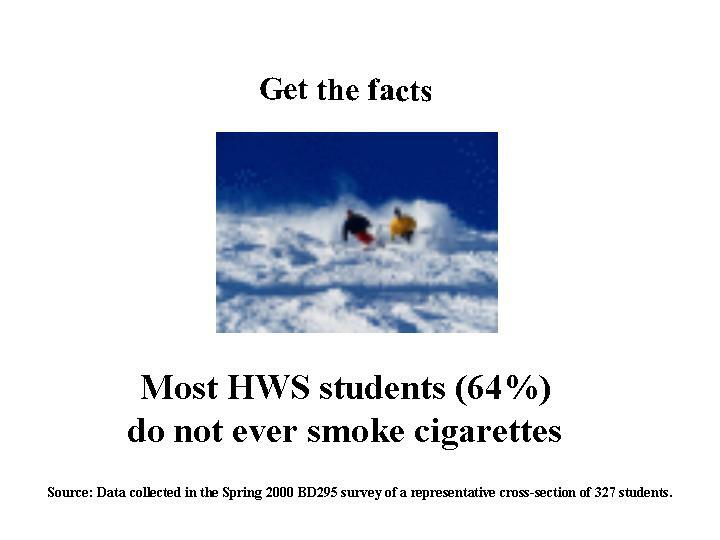 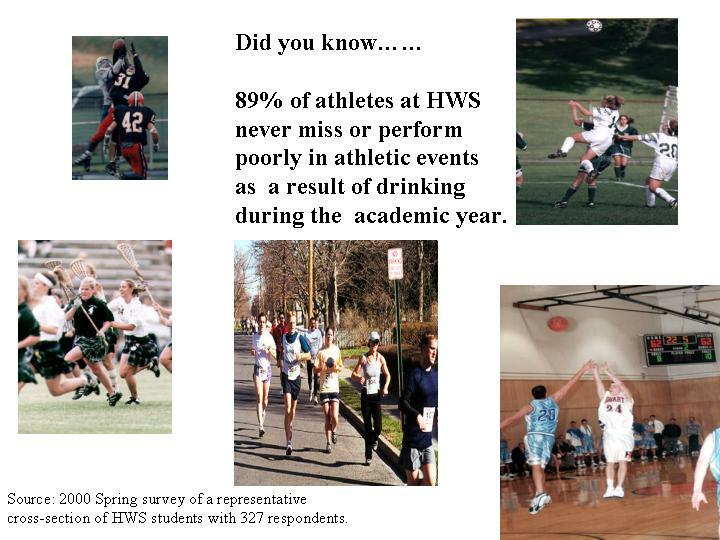 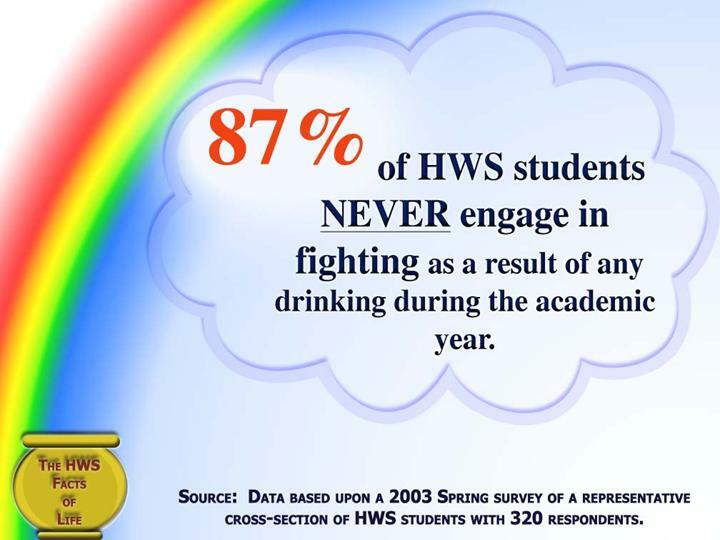 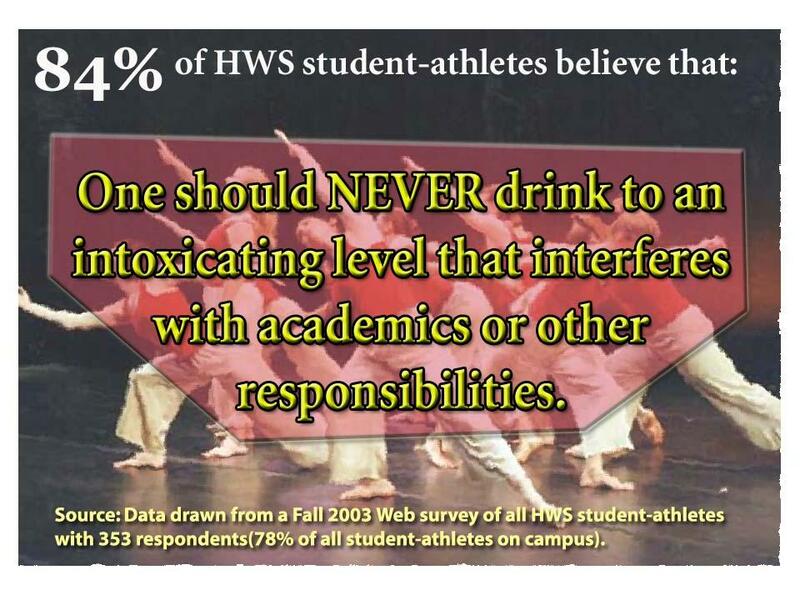 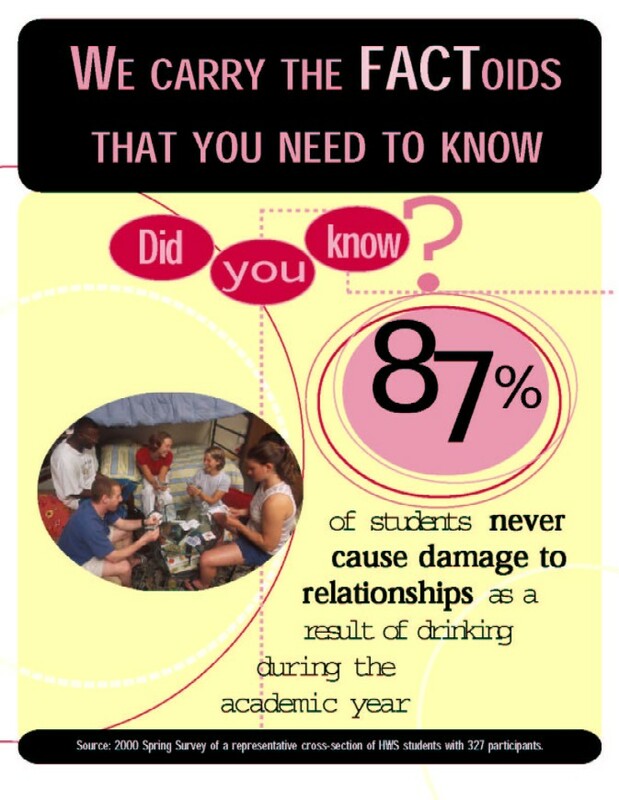 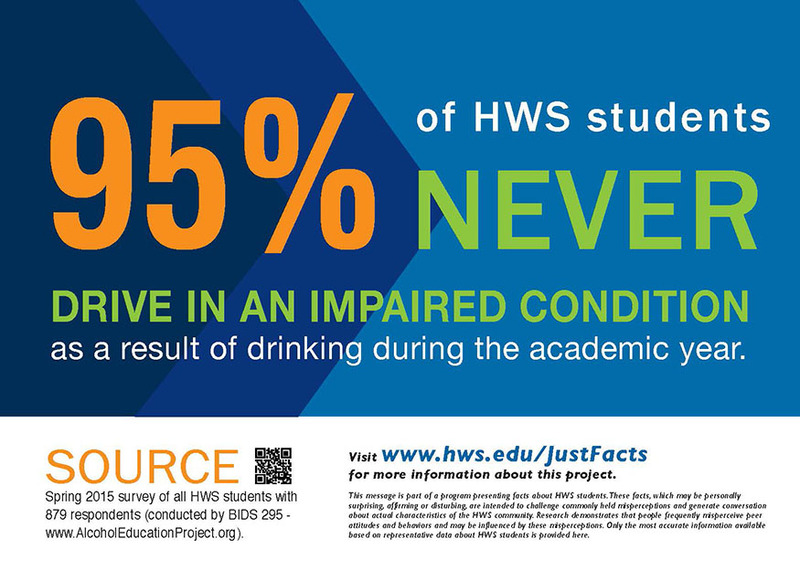 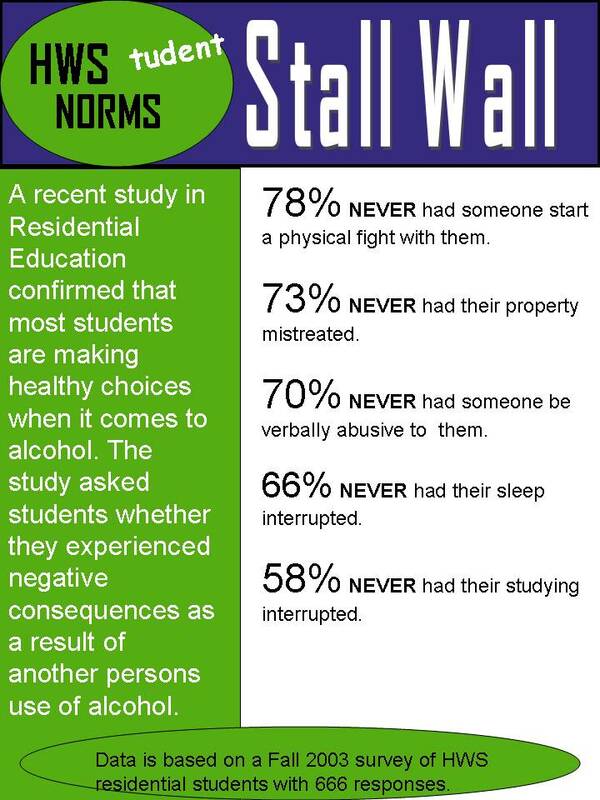 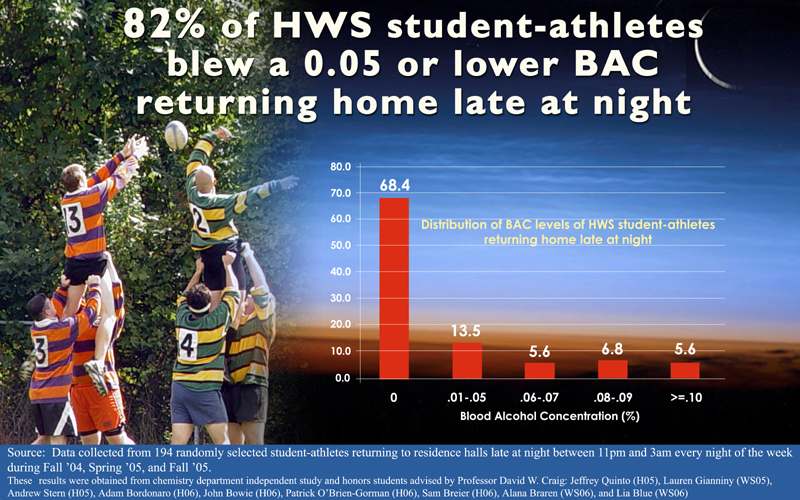 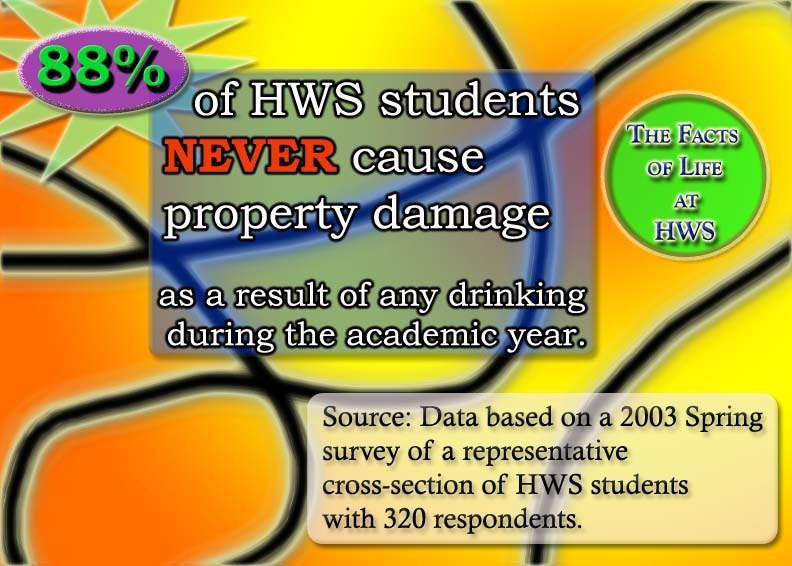 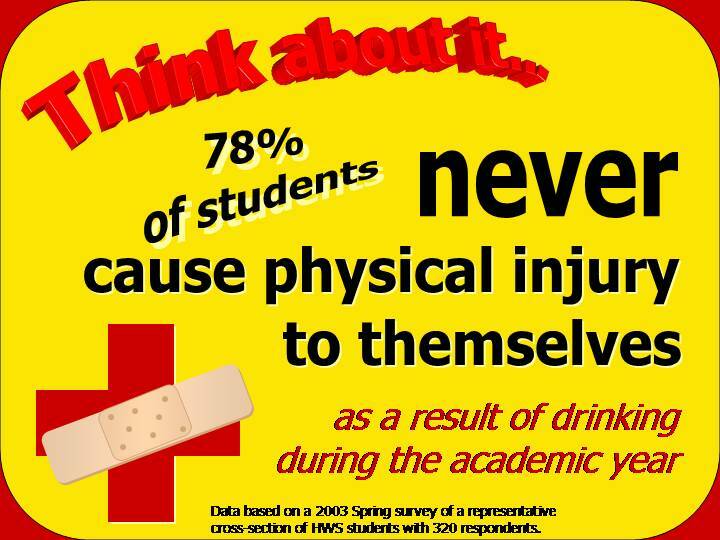 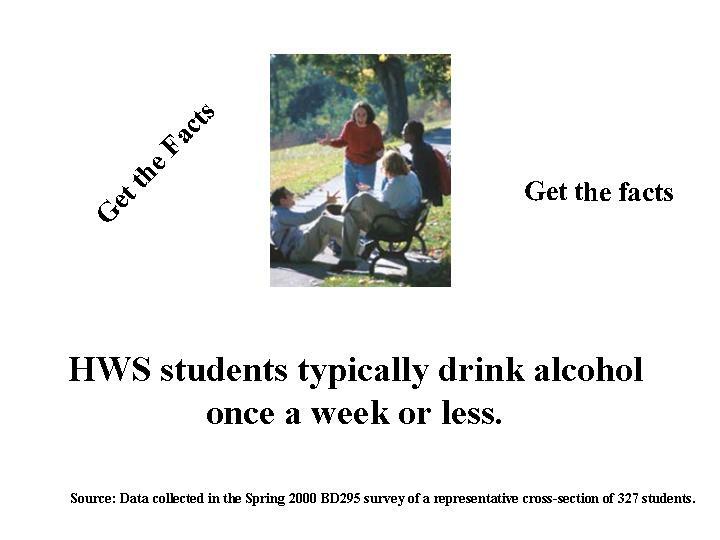 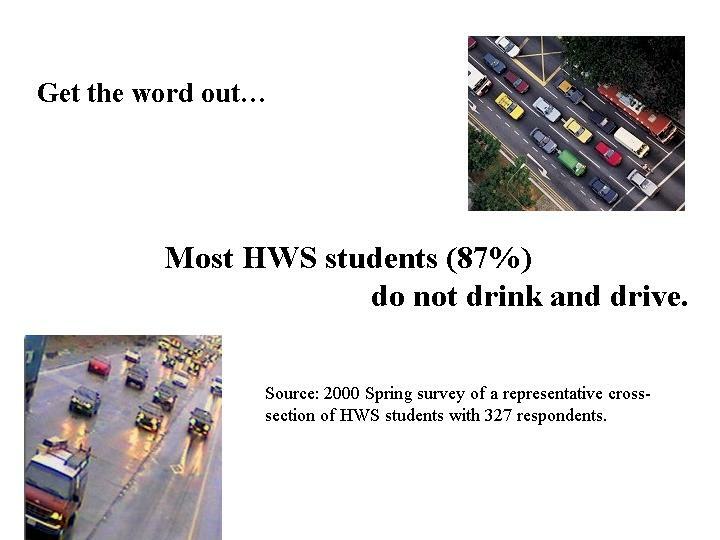 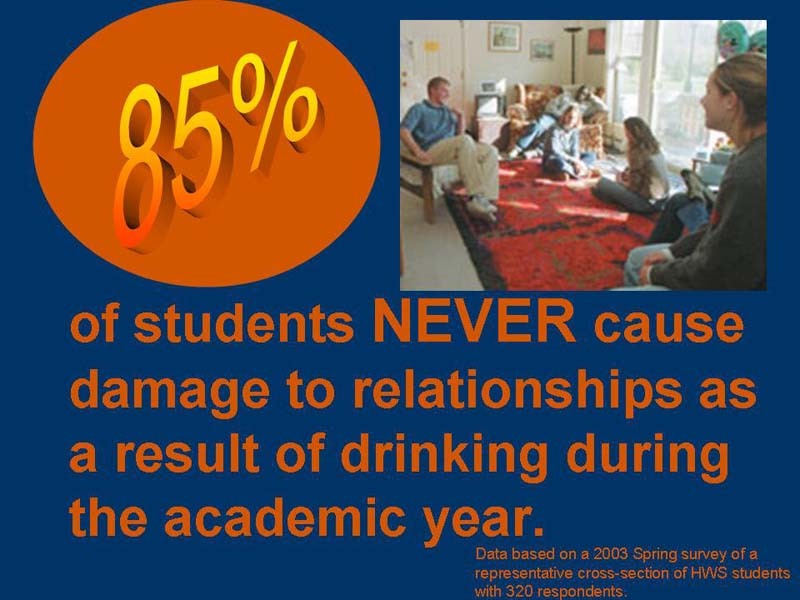 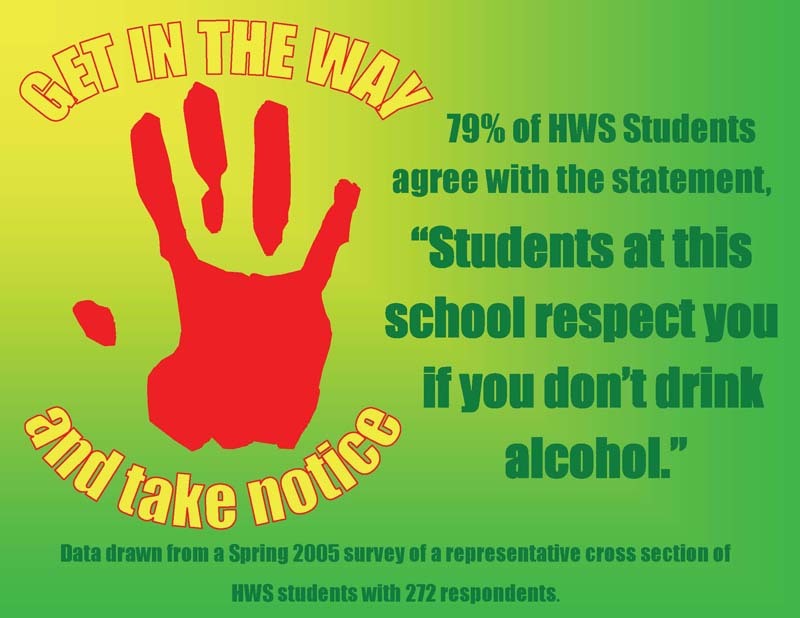 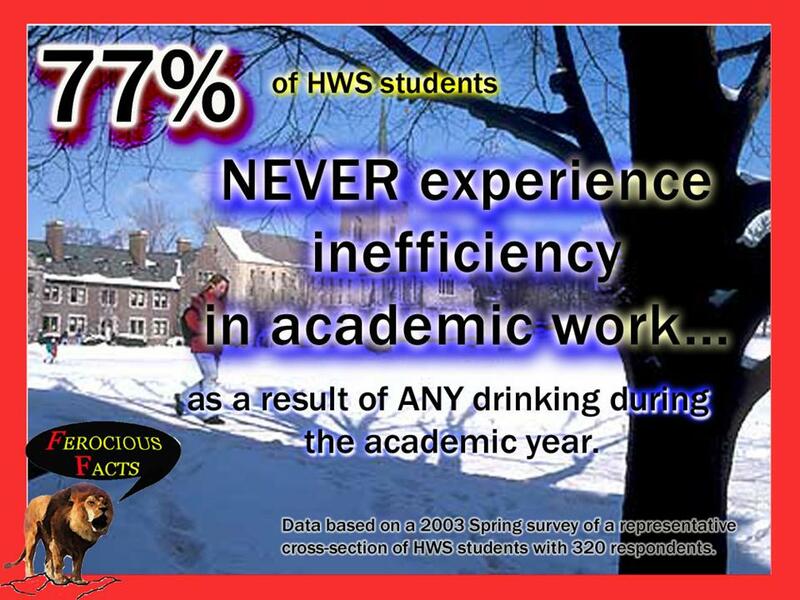 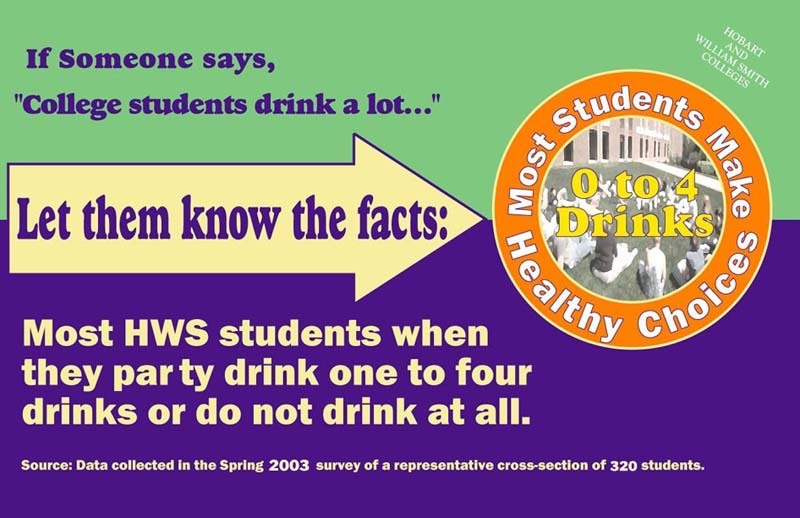 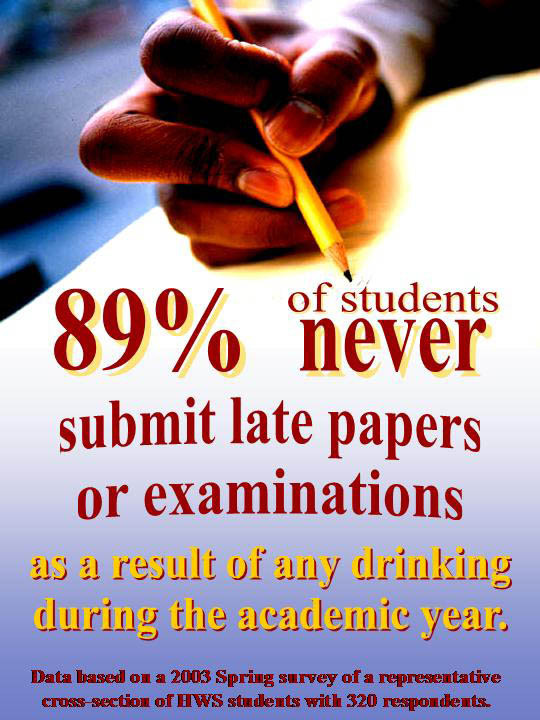 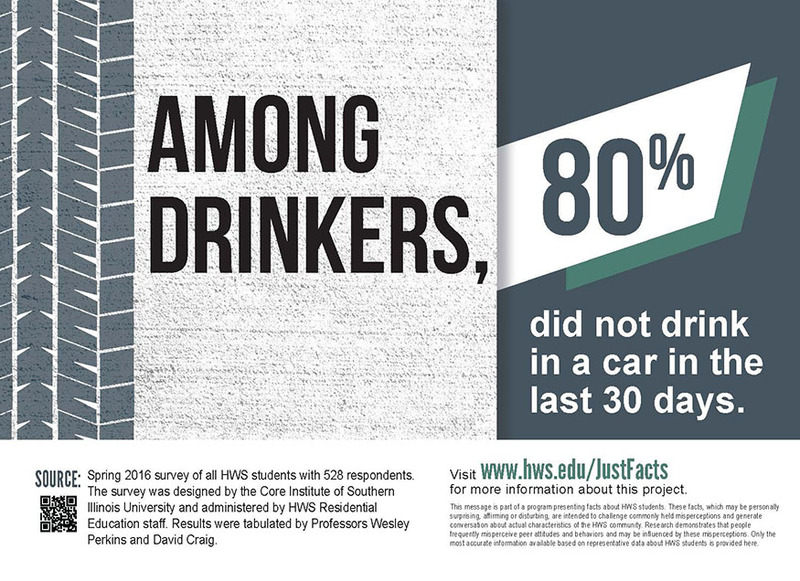 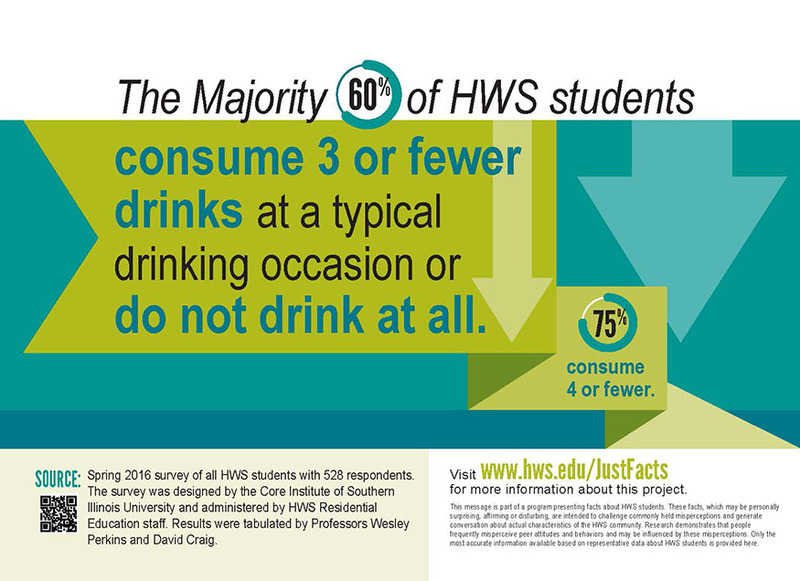 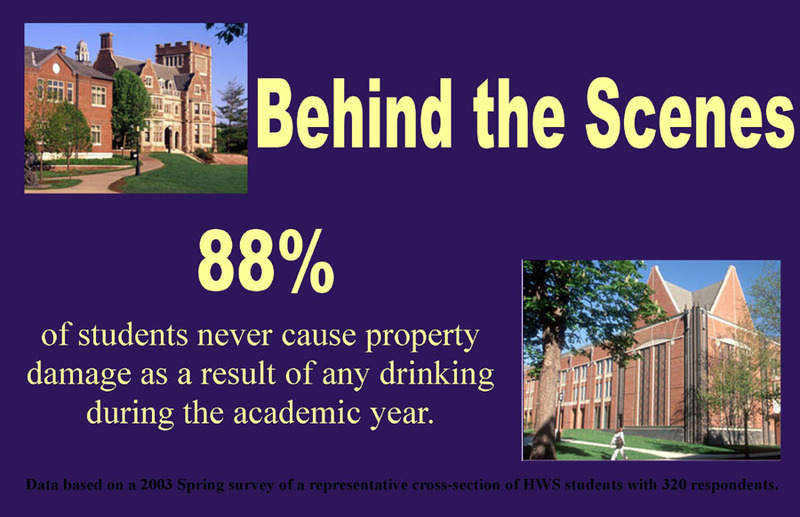 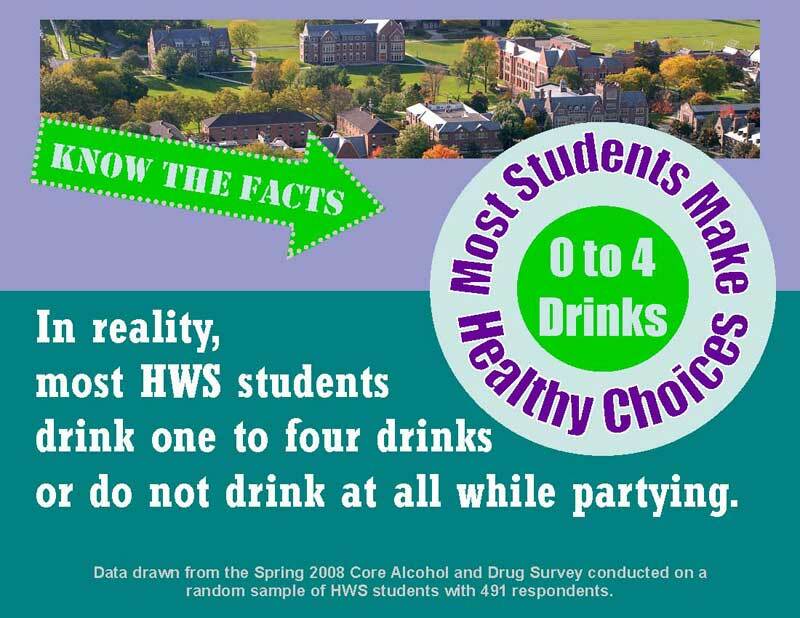 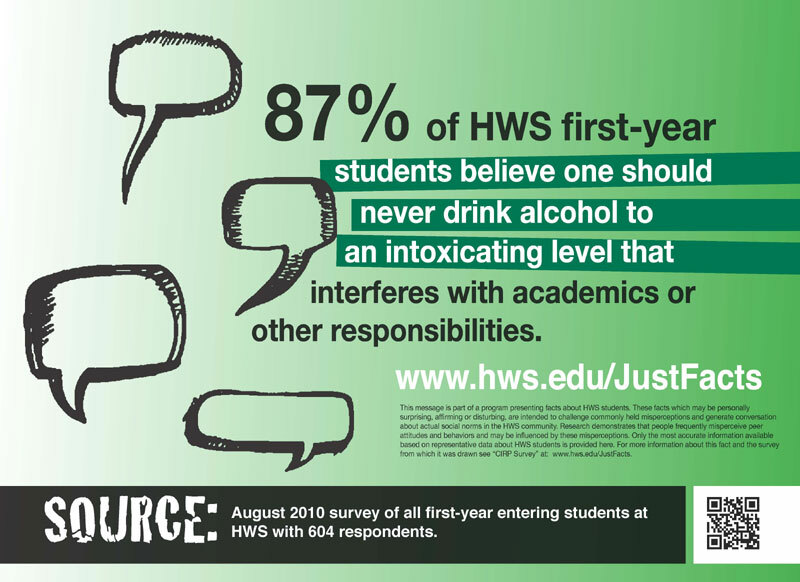 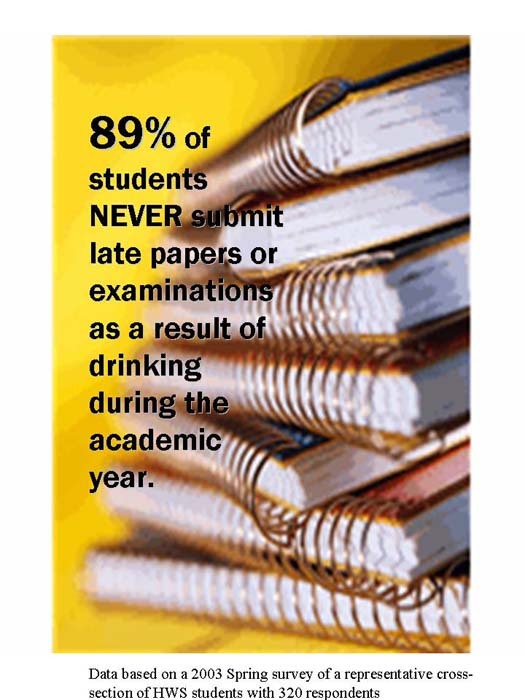 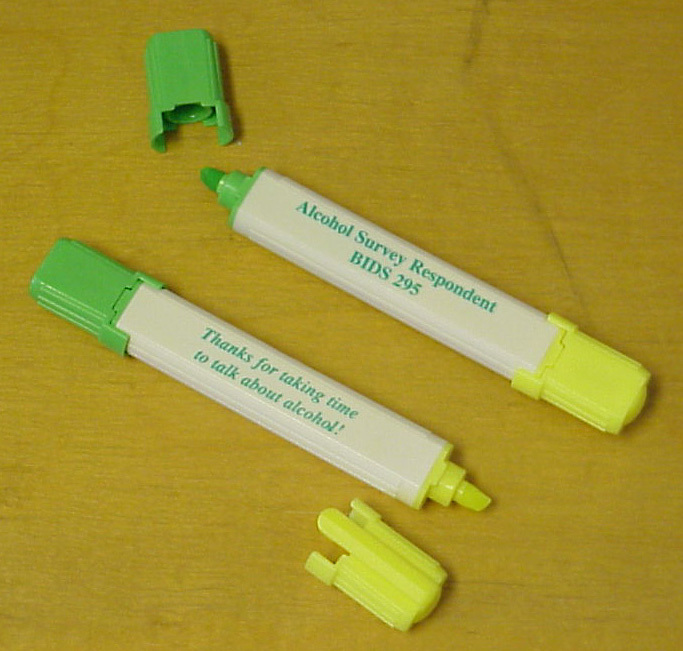 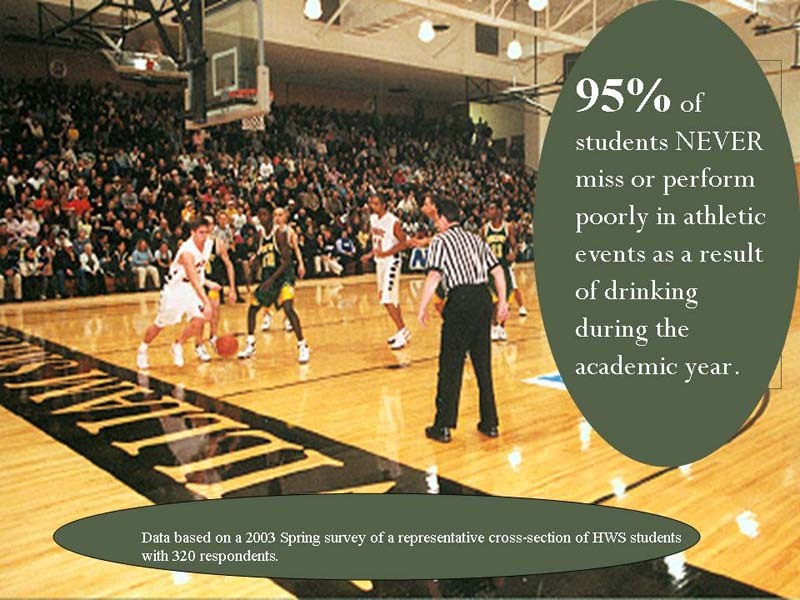 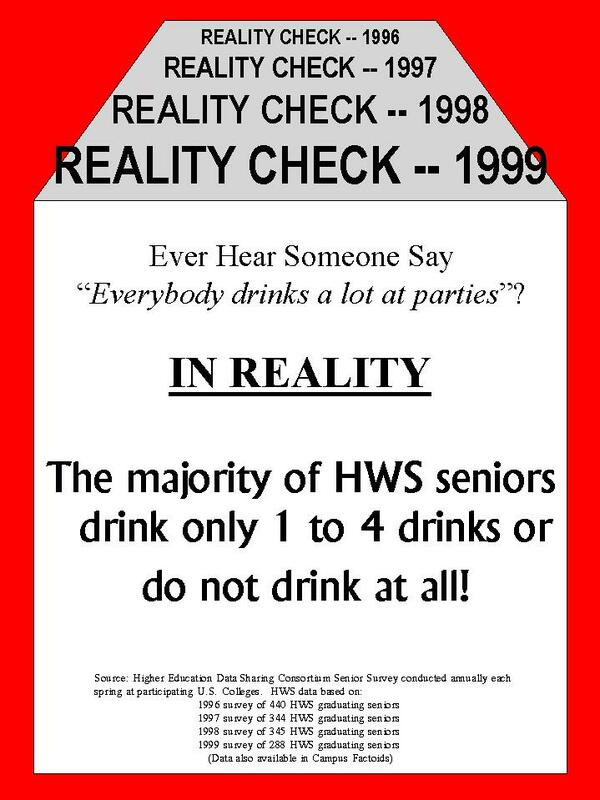 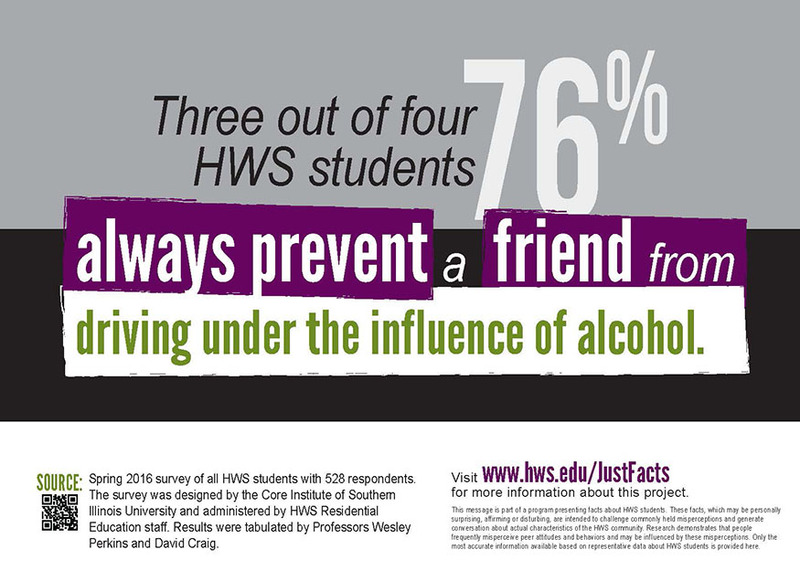 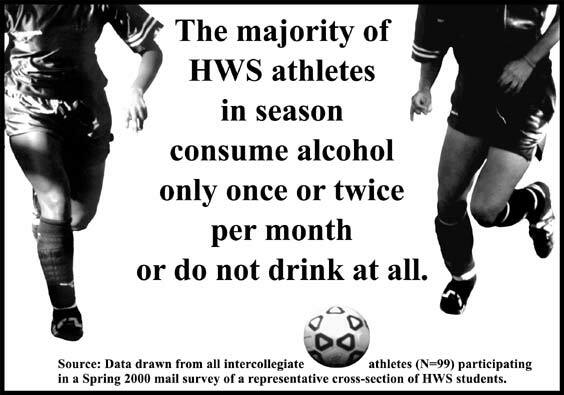 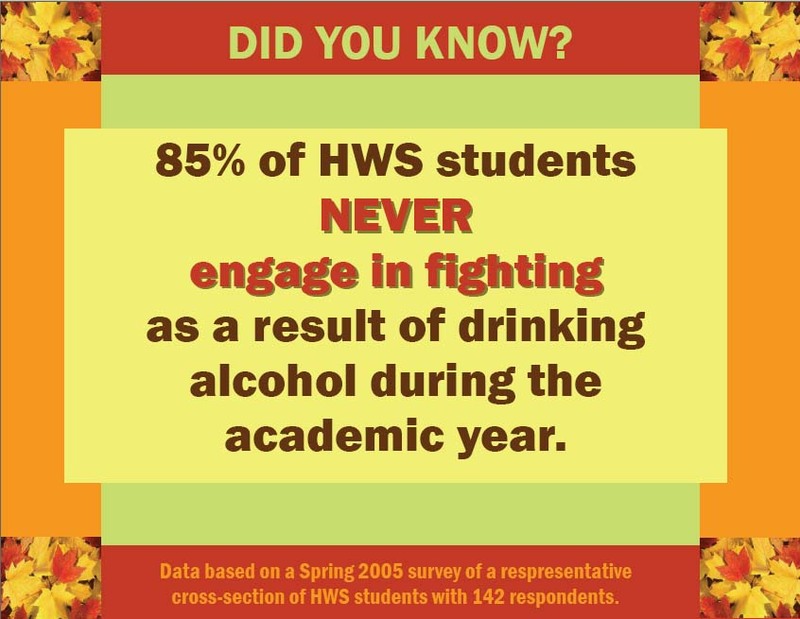 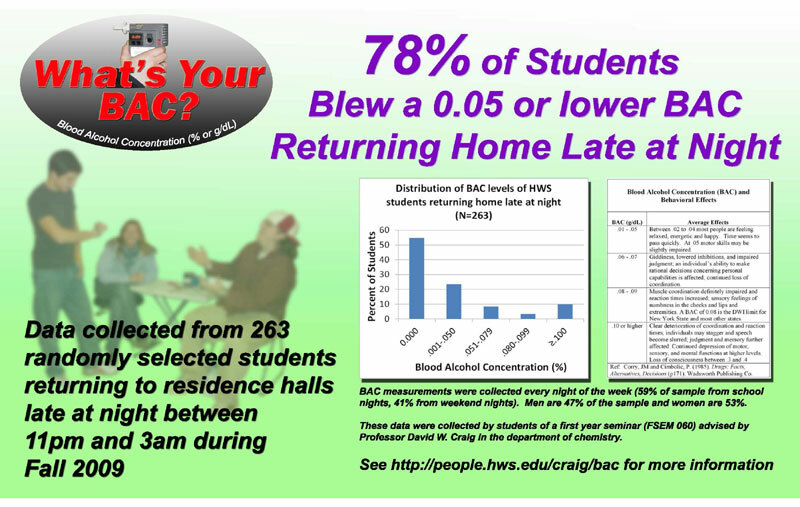 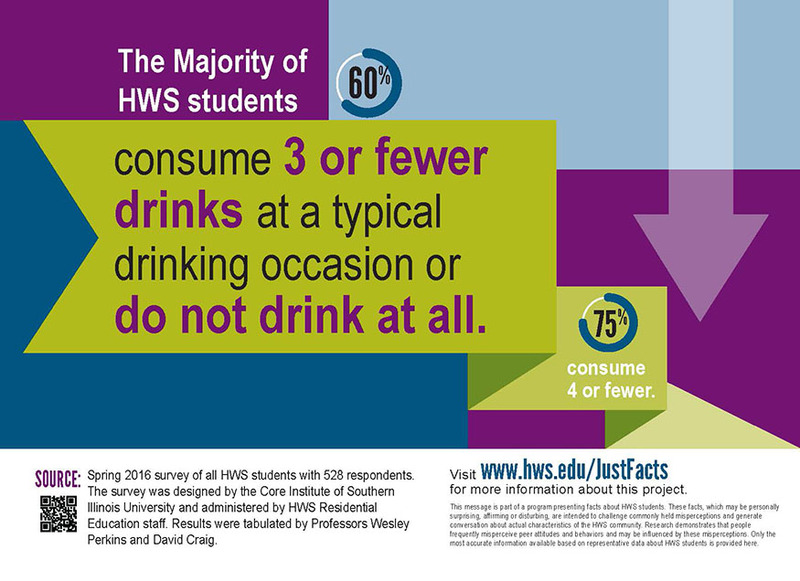 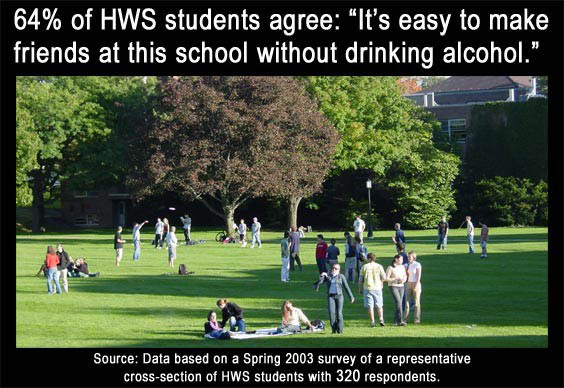 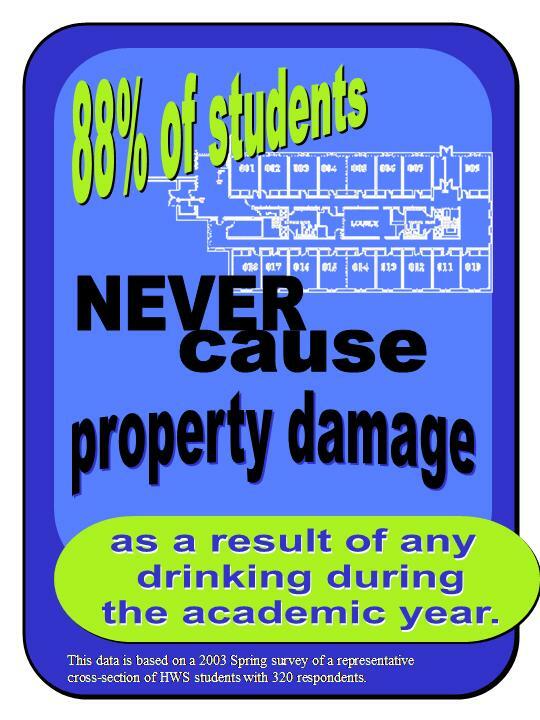 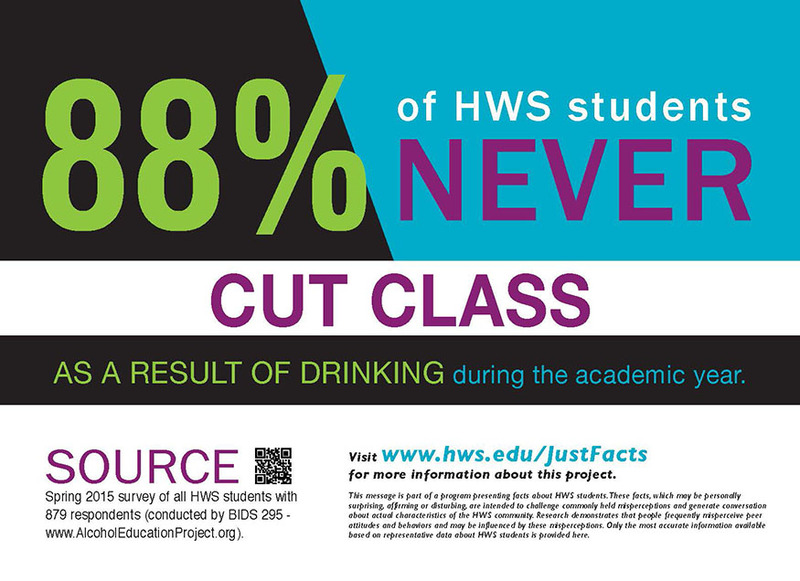 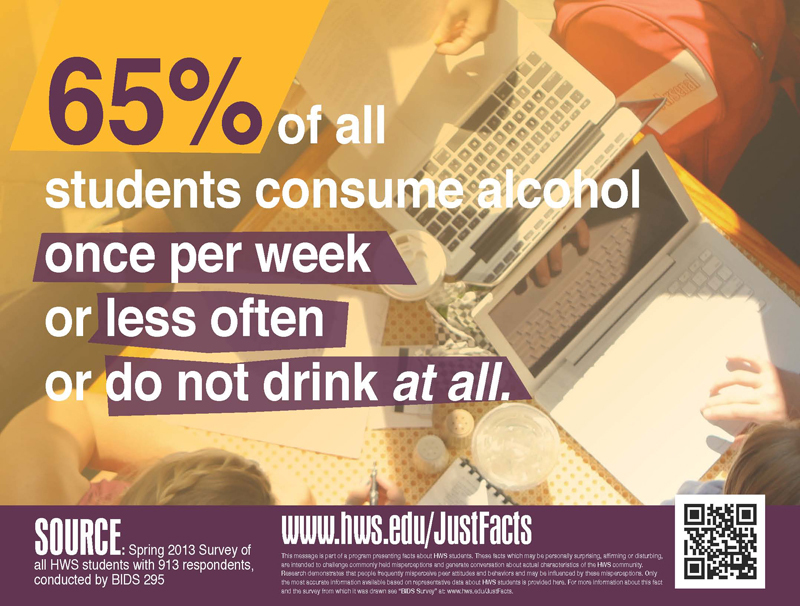 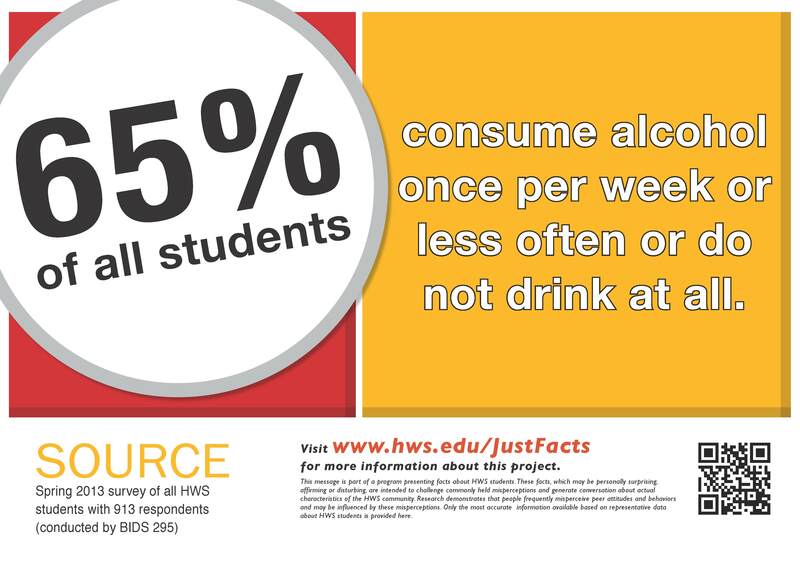 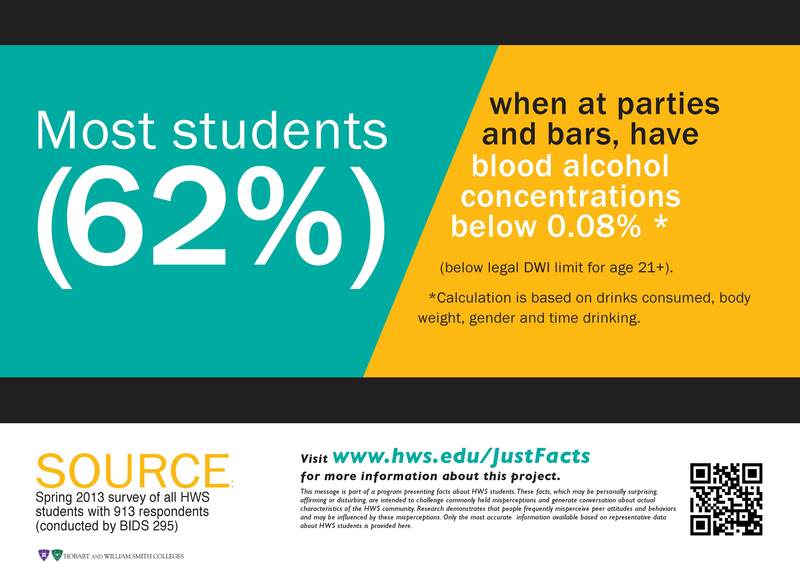 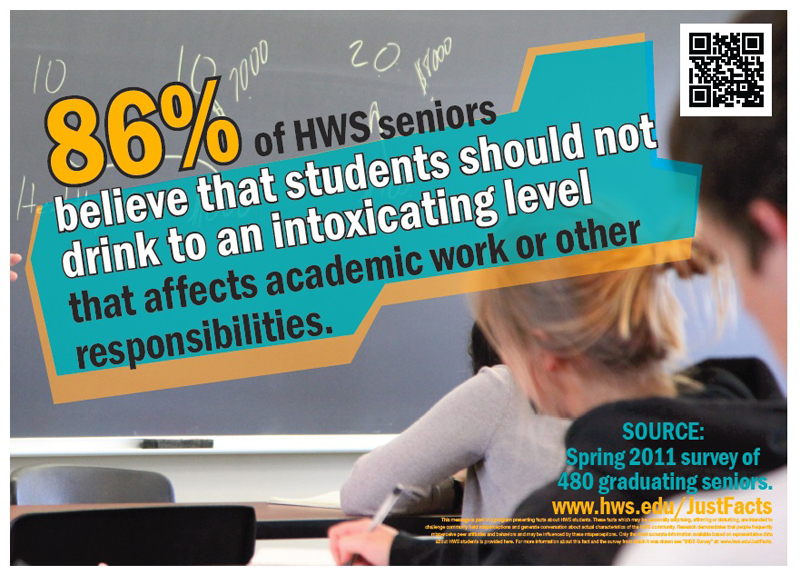 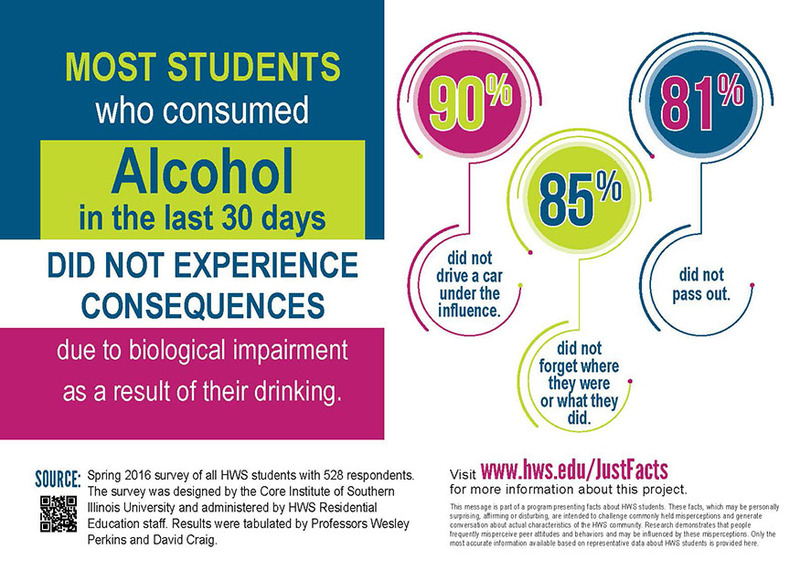 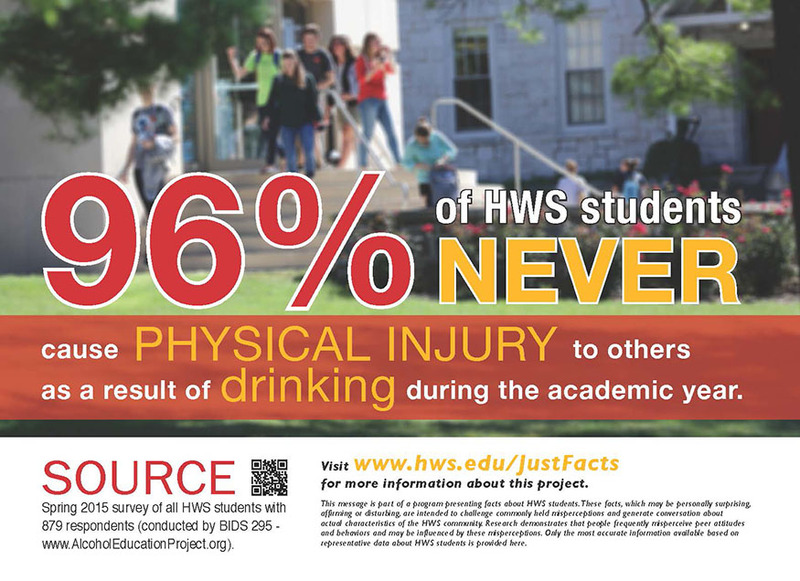 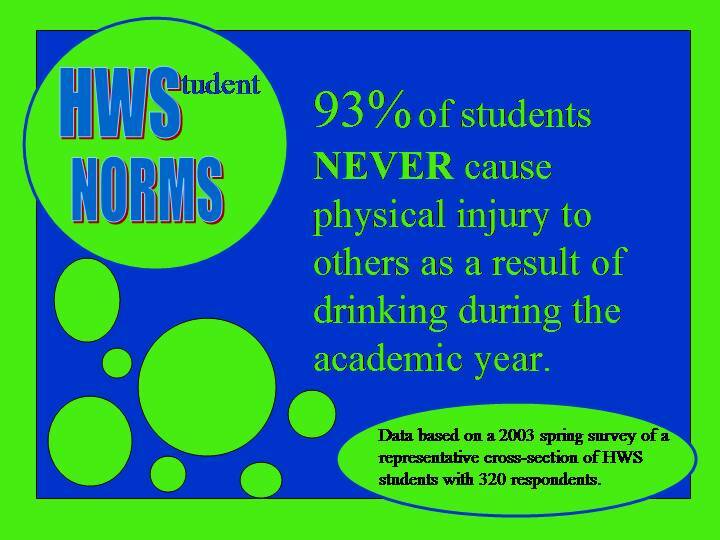 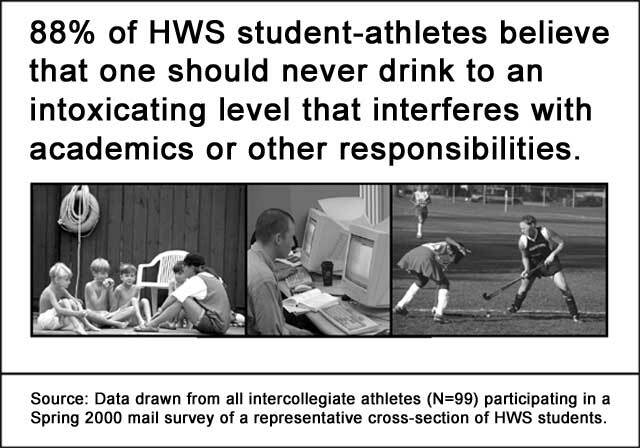 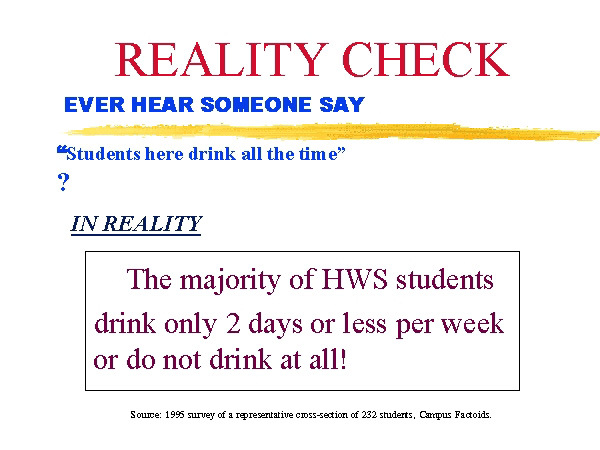 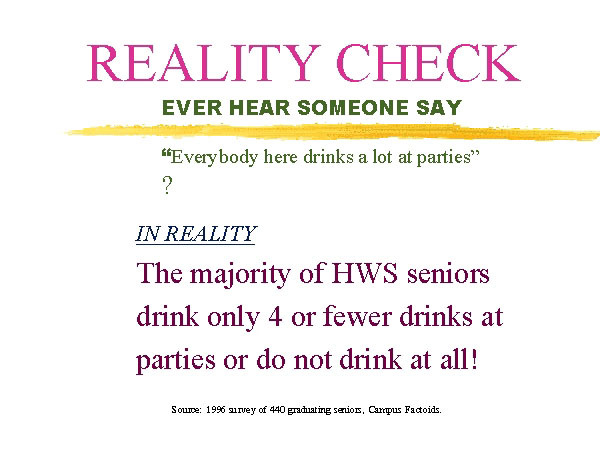 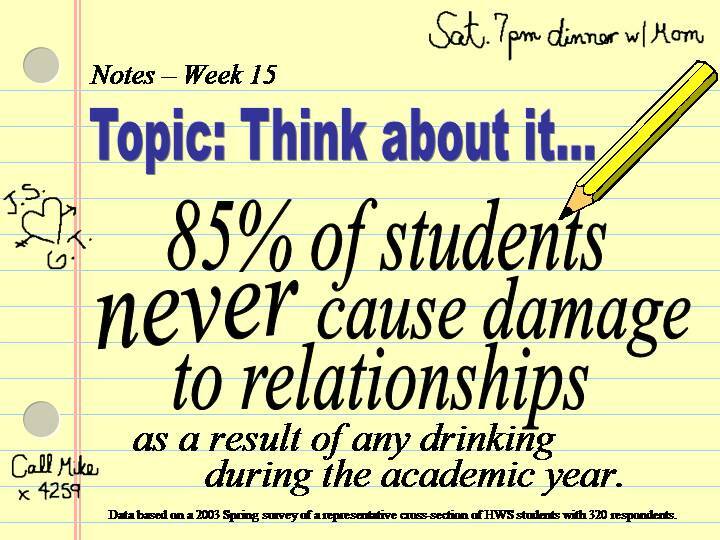 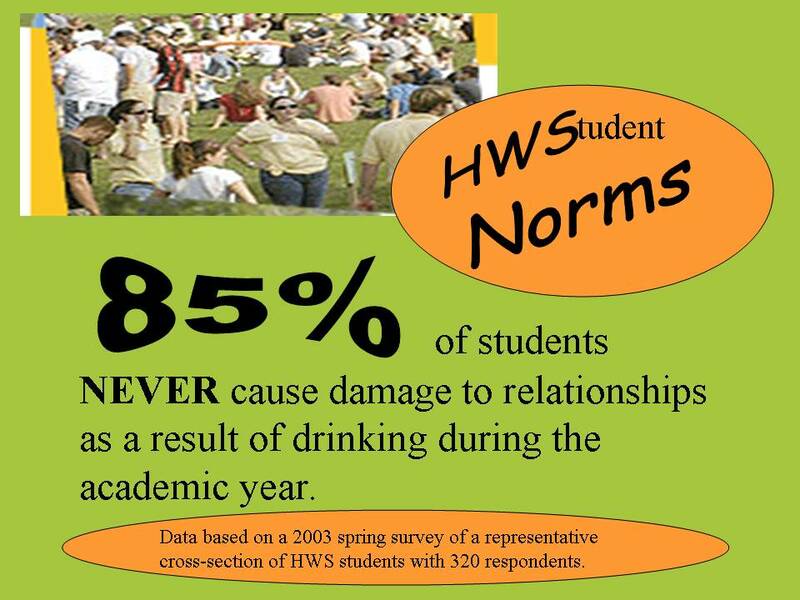 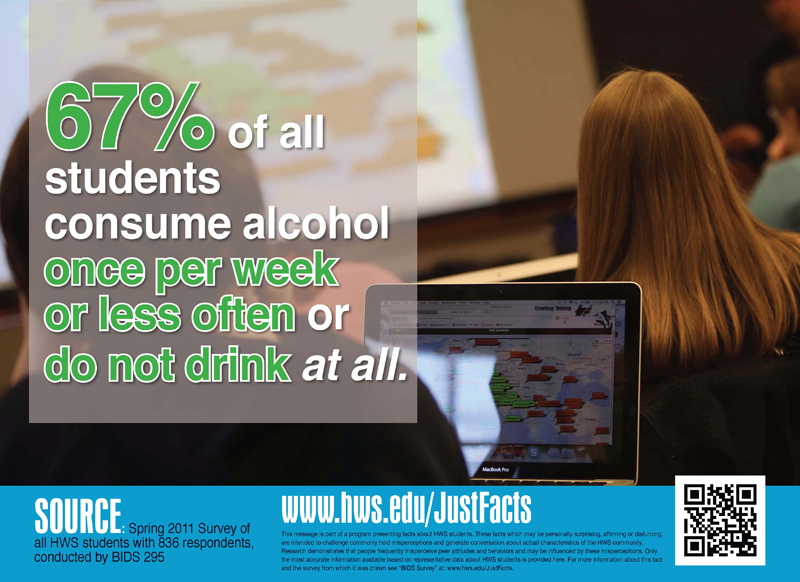 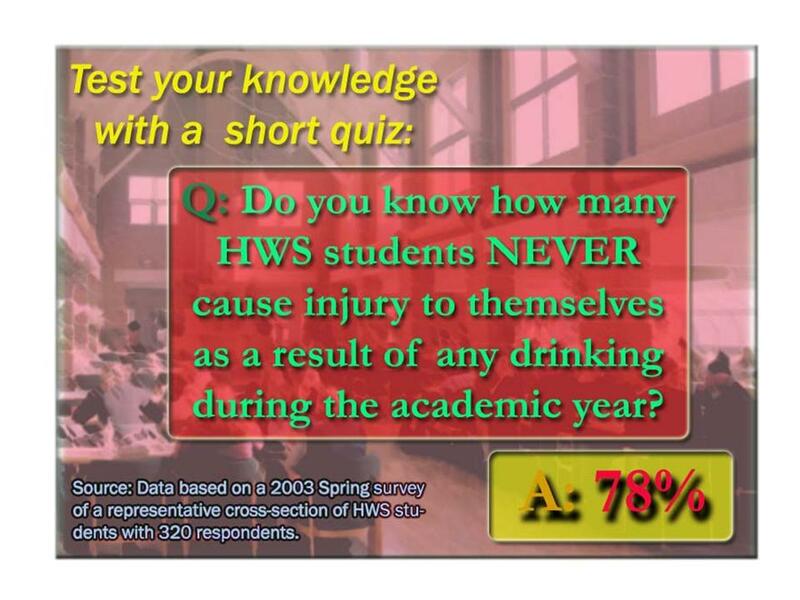 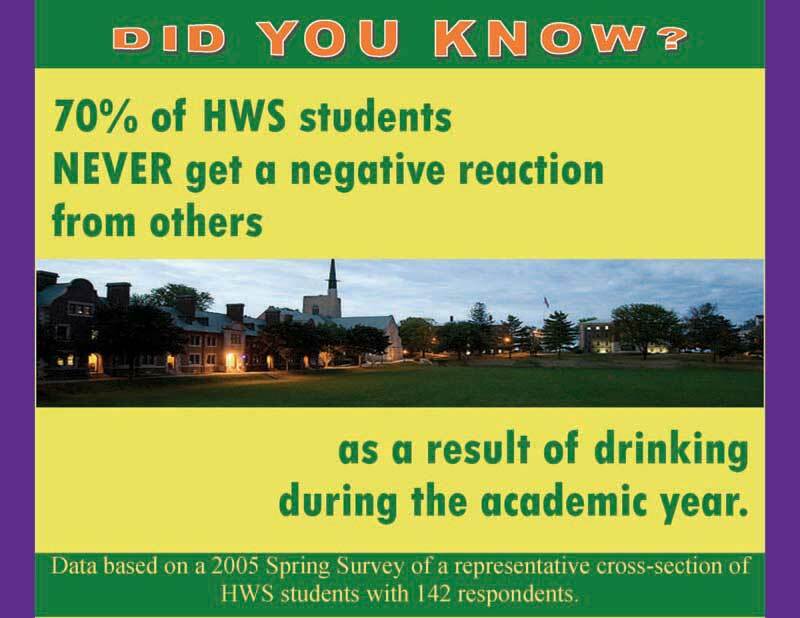 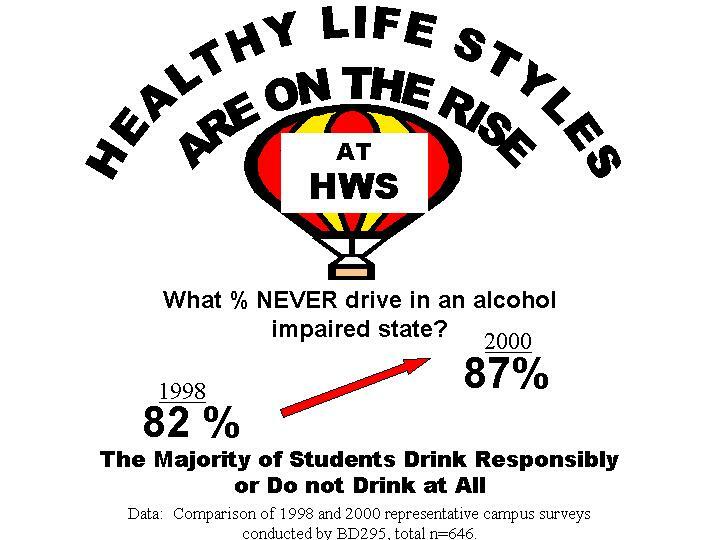 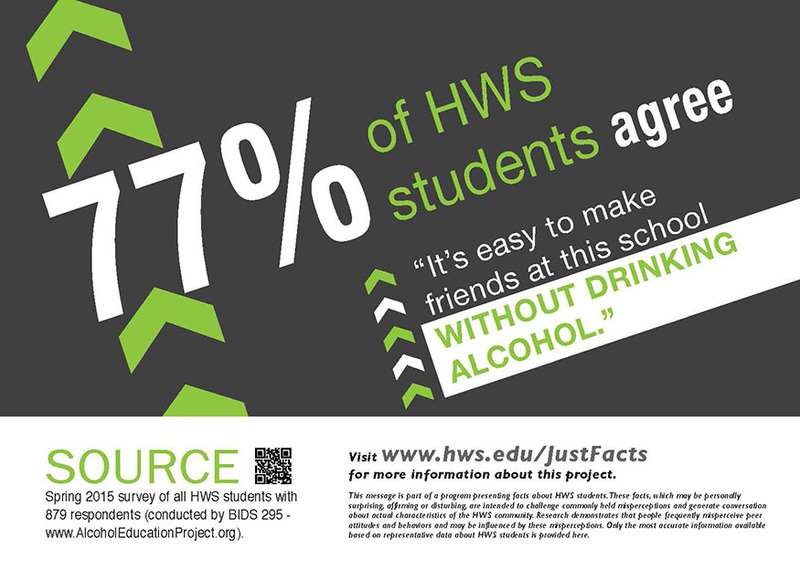 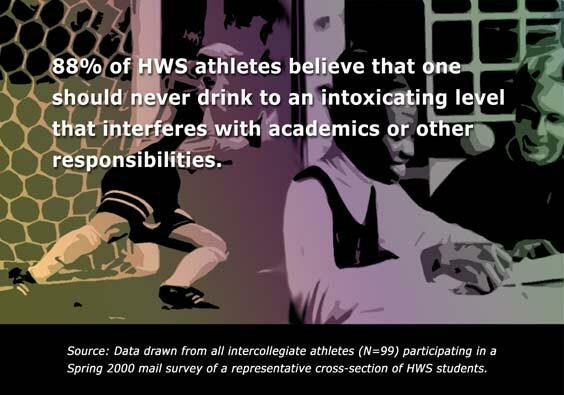 This page contains thumbnails of all posters produced by the HWS Alcohol Education Project. 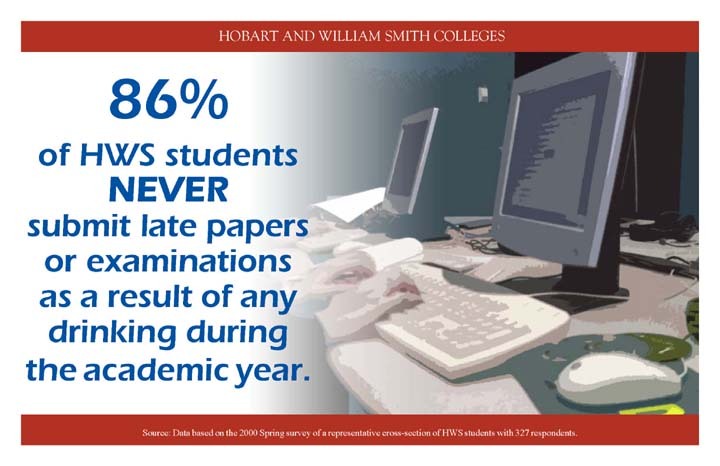 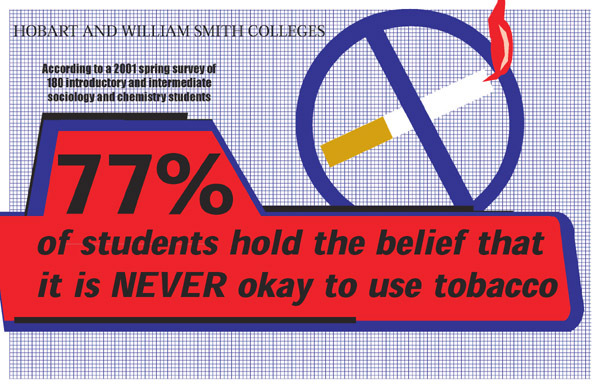 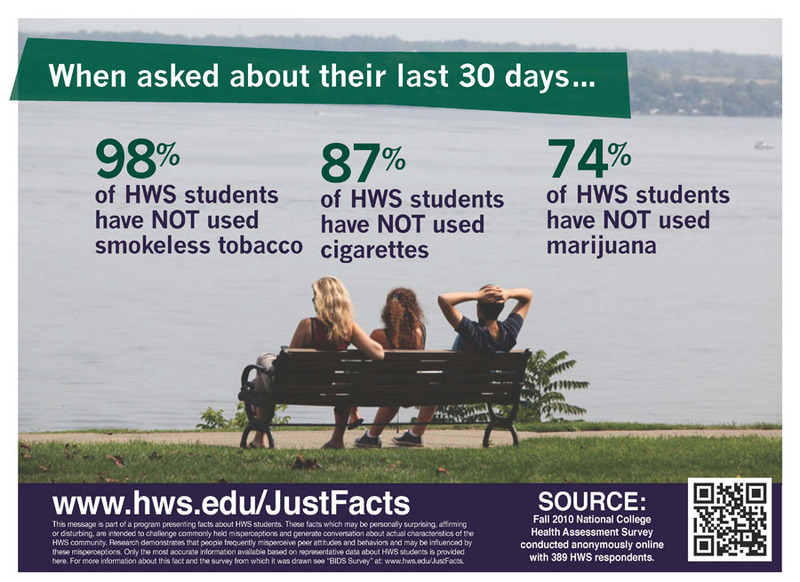 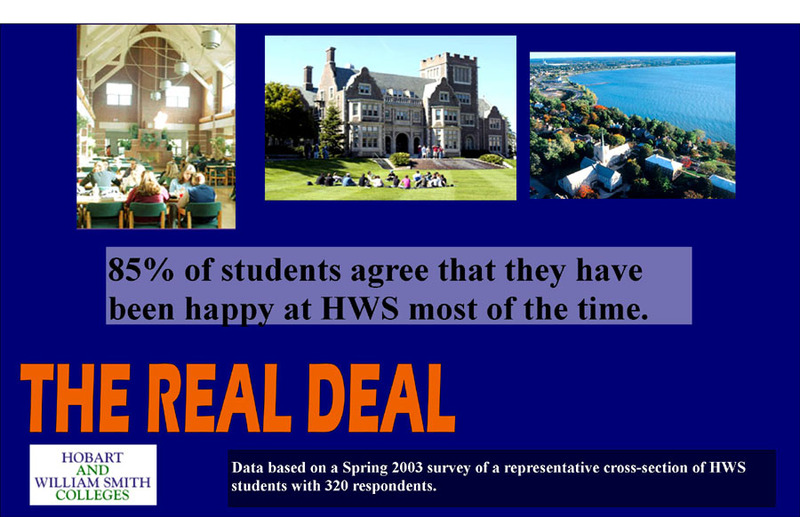 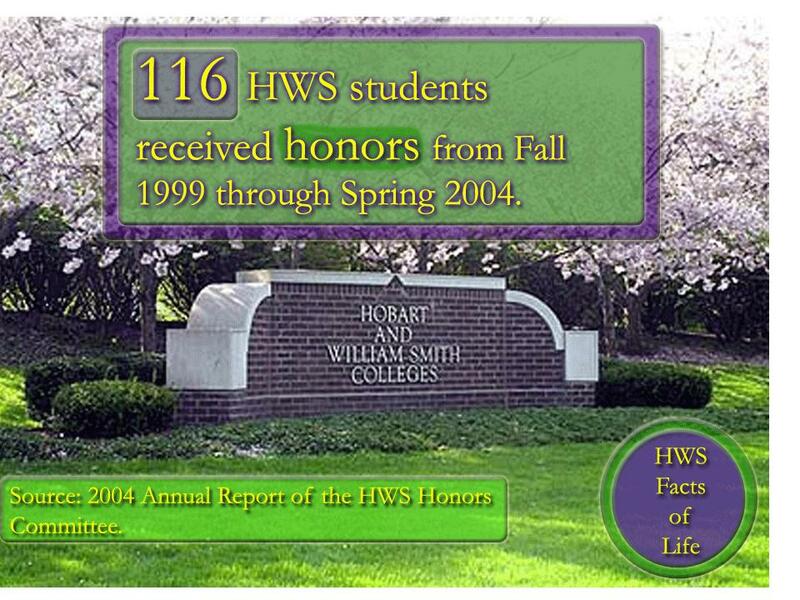 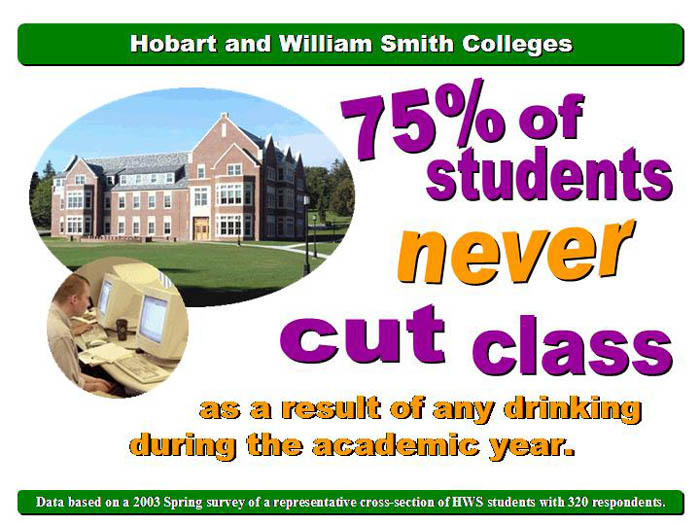 These posters have been and/or are currently being displayed on the Hobart and William Smith Colleges Campus. 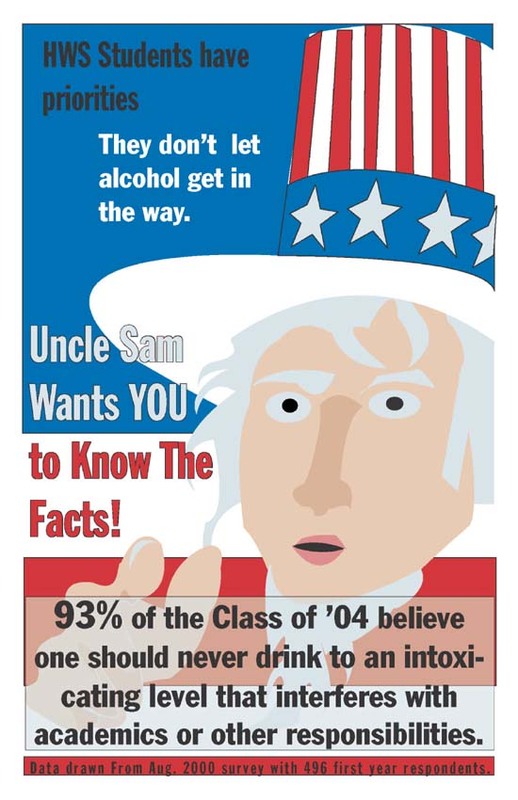 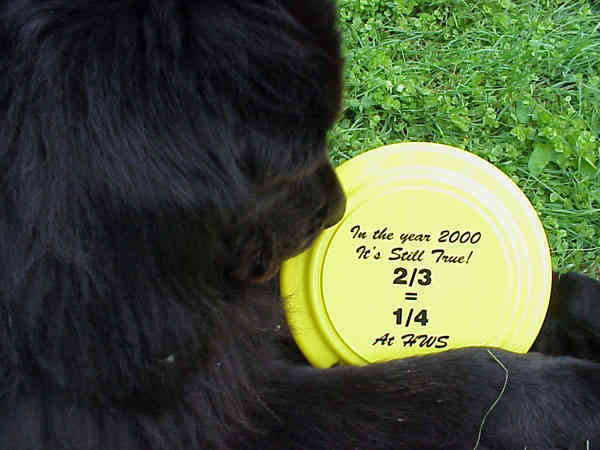 In order to view the full version of these posters, simply click on the thumbnail image below. 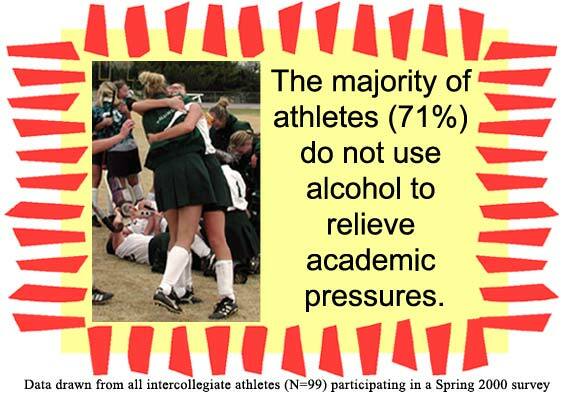 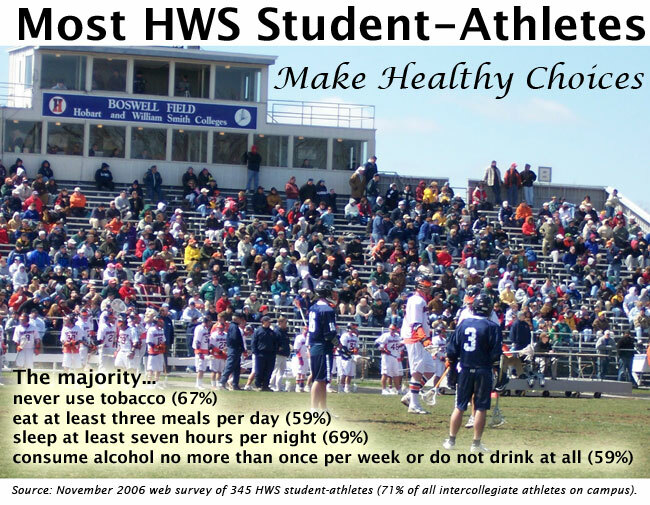 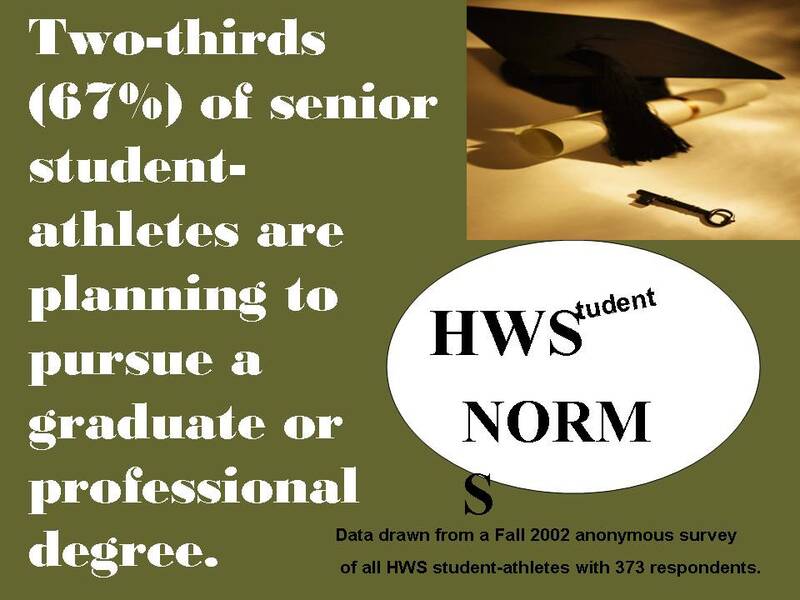 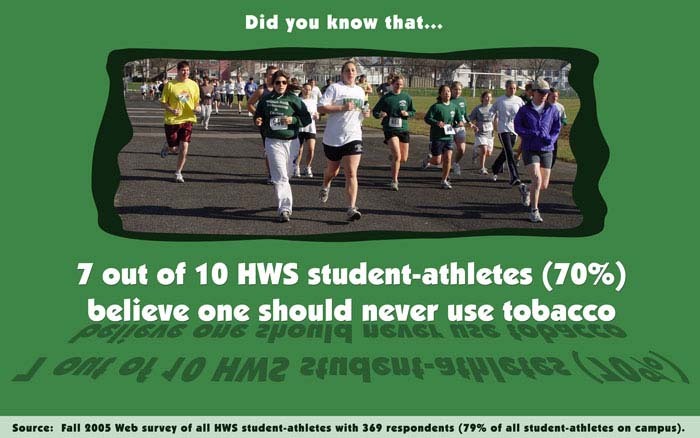 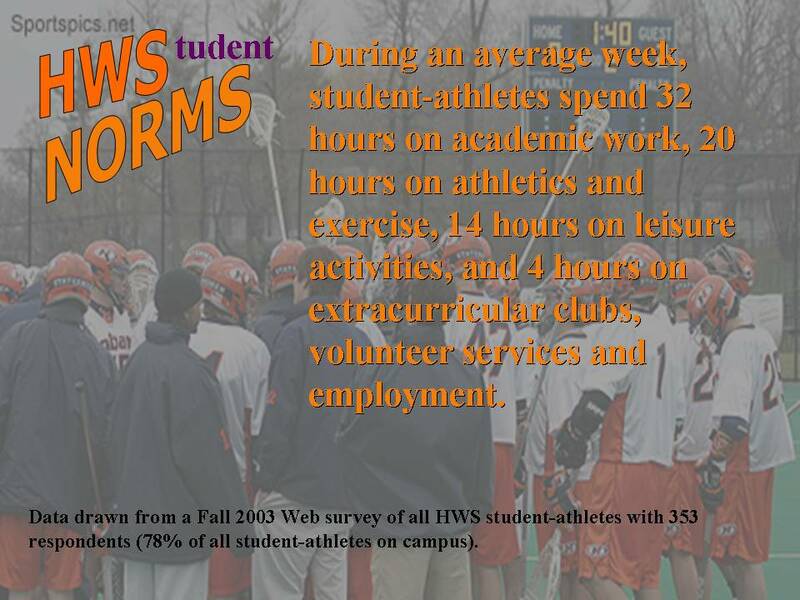 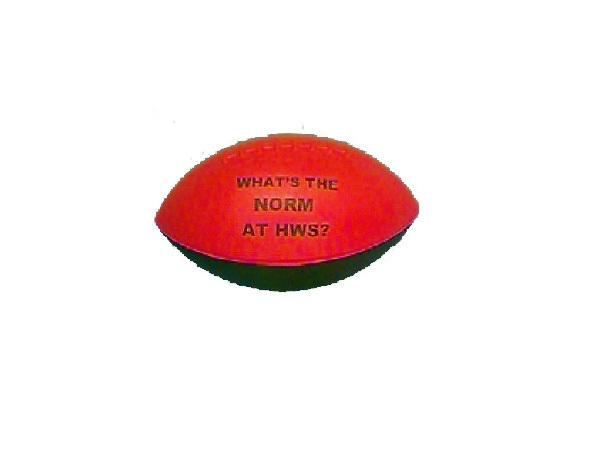 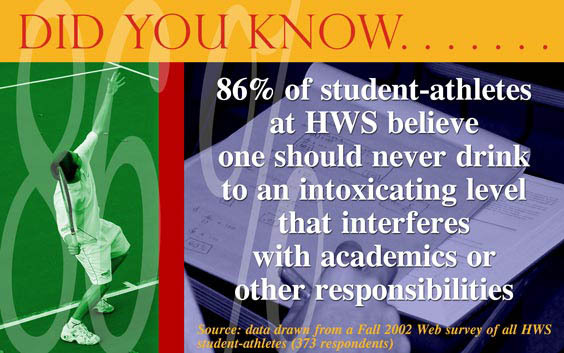 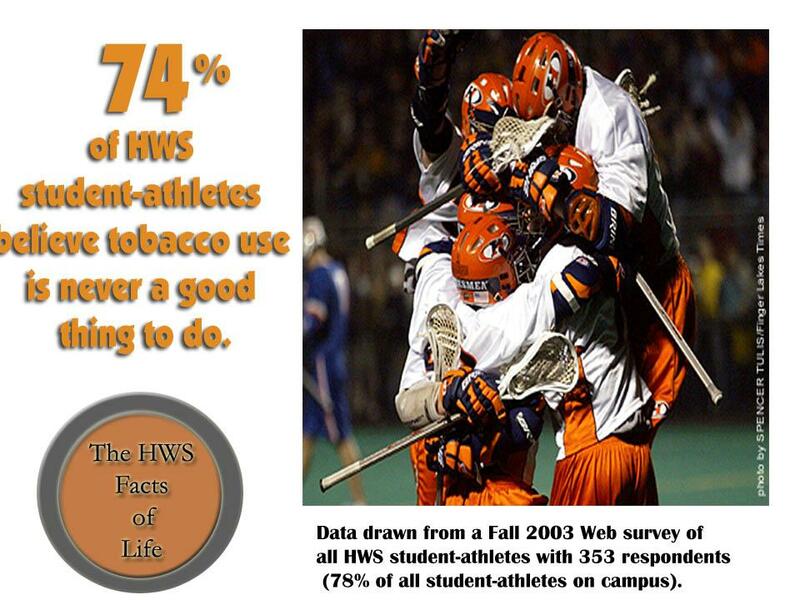 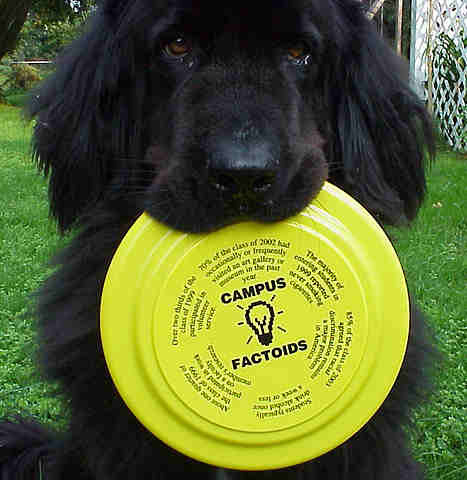 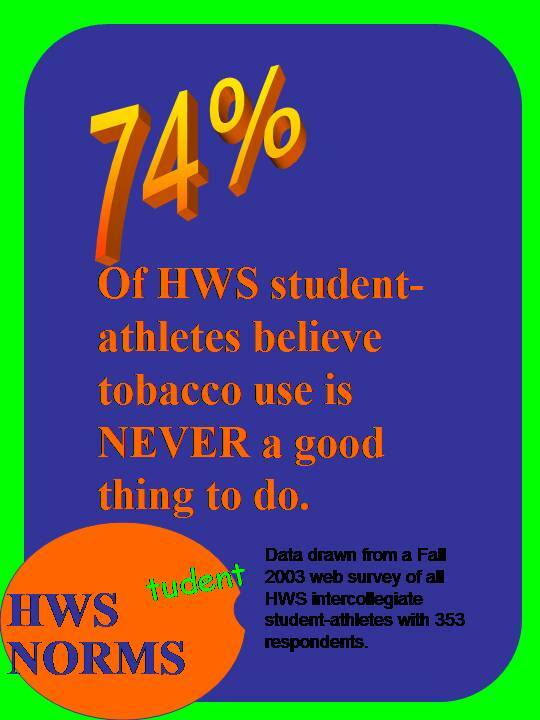 You may see a complete catalog of posters for student-athletes at this link. 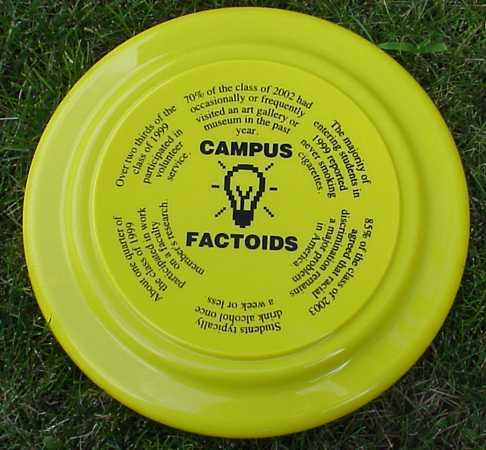 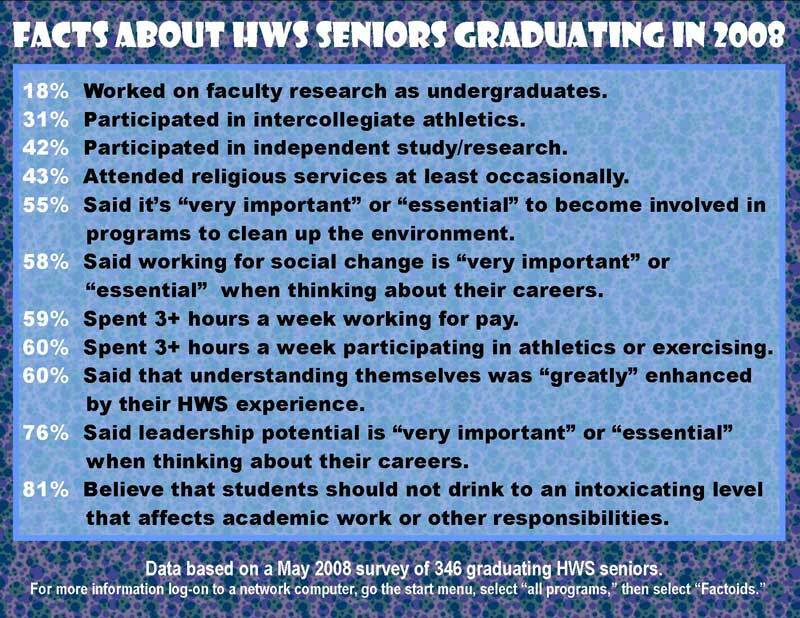 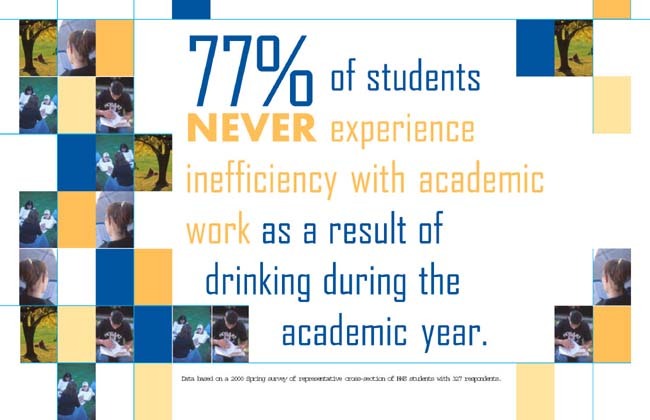 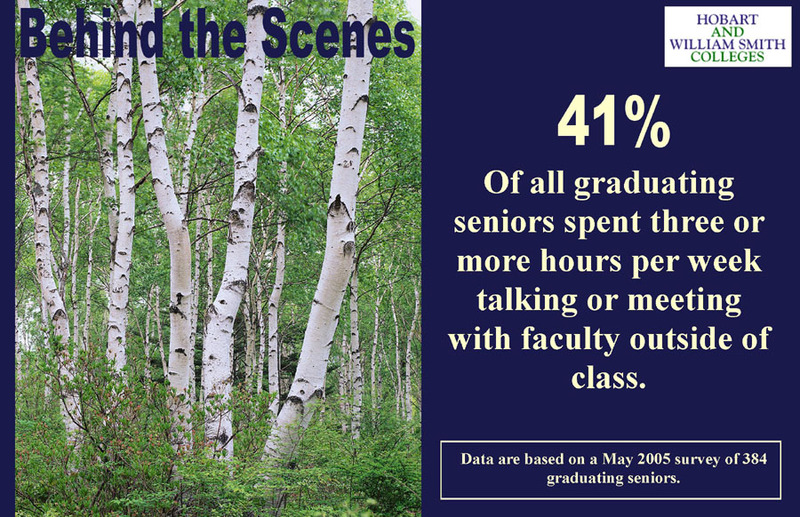 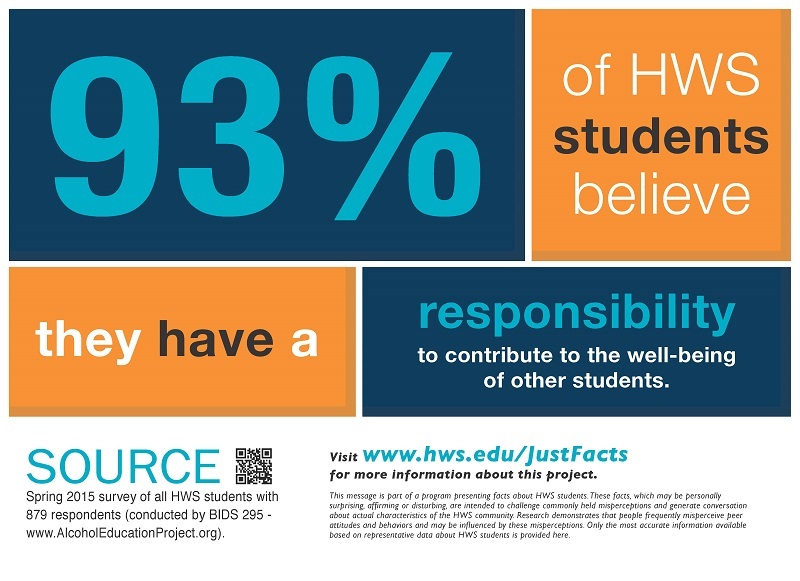 These additional posters were produced by our Most Valuable Players Project, also intended to reduce misperceptions and promote positive norms.